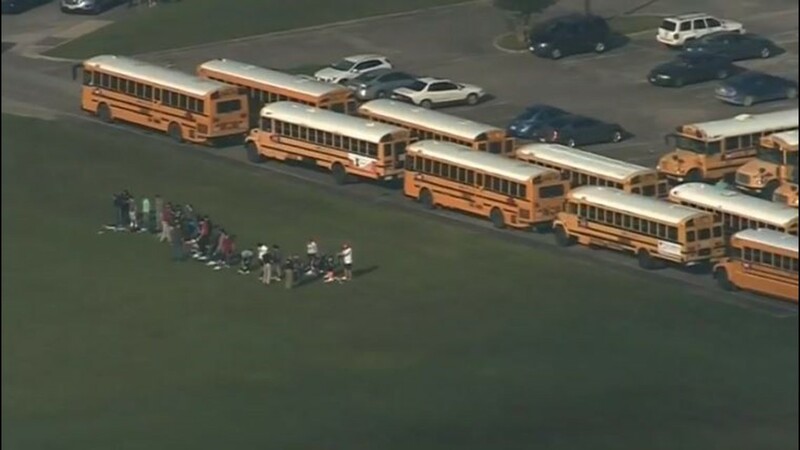 "One minute we're sitting there doing math problems and then we're being told to run for our lives." 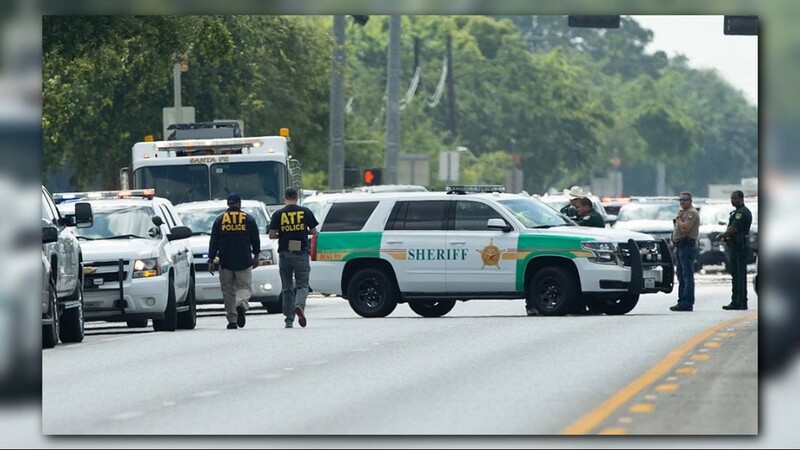 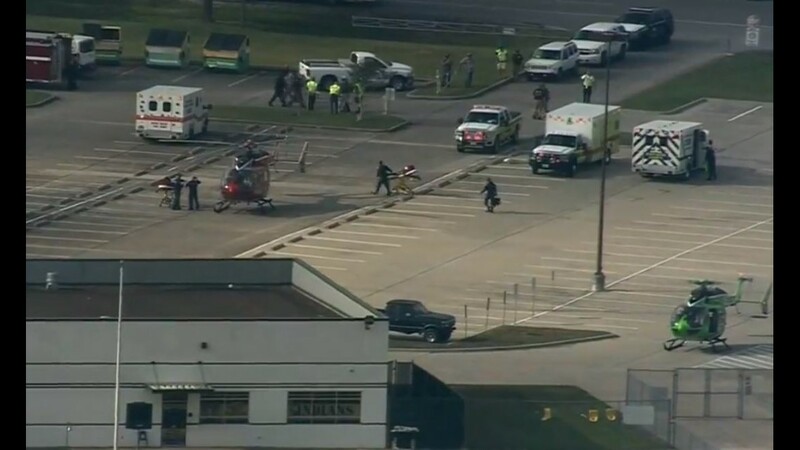 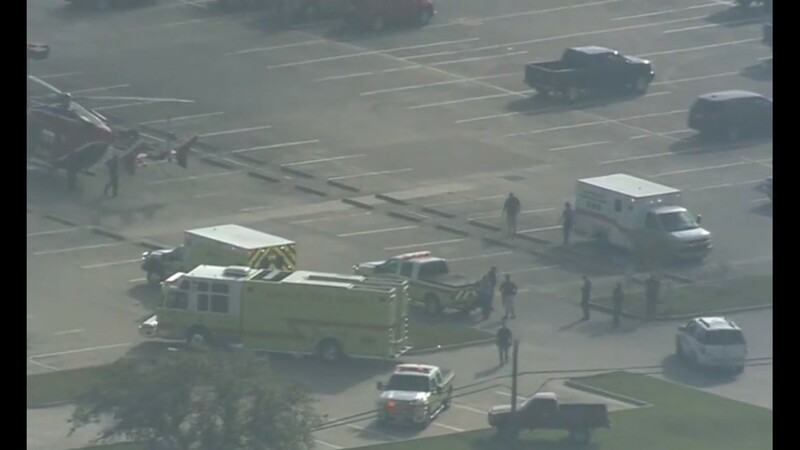 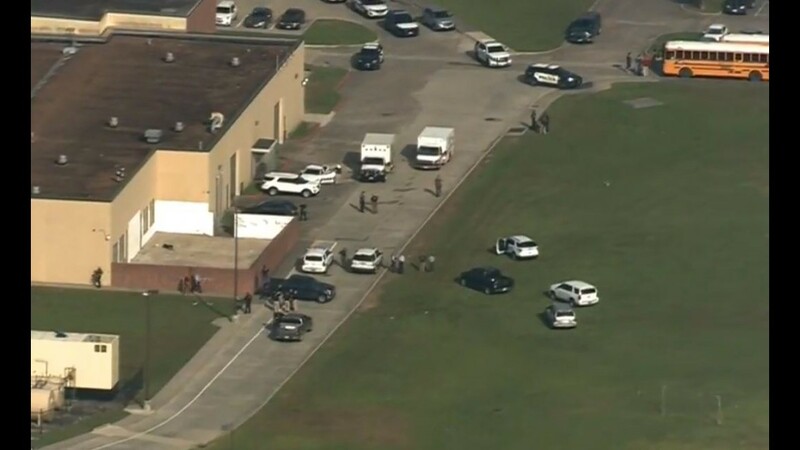 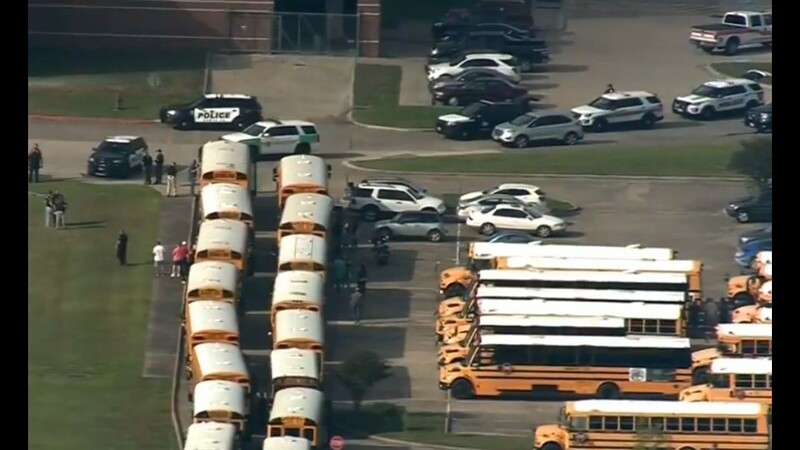 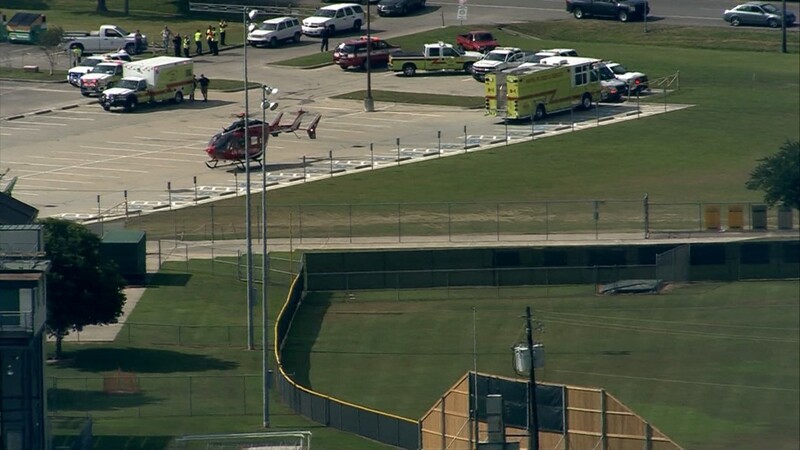 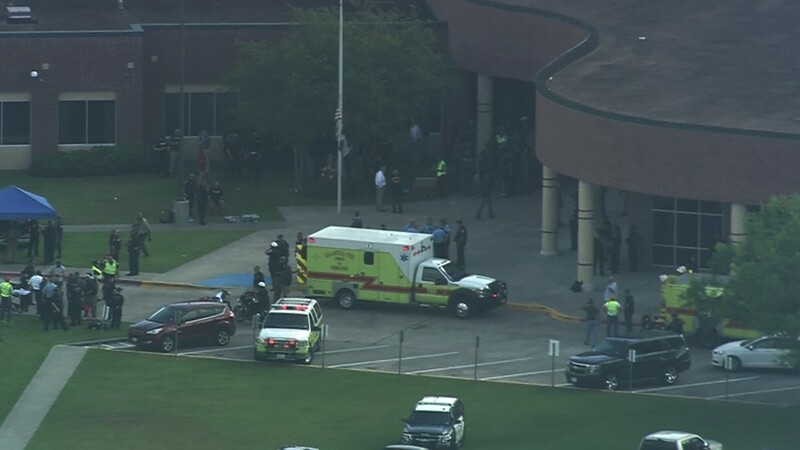 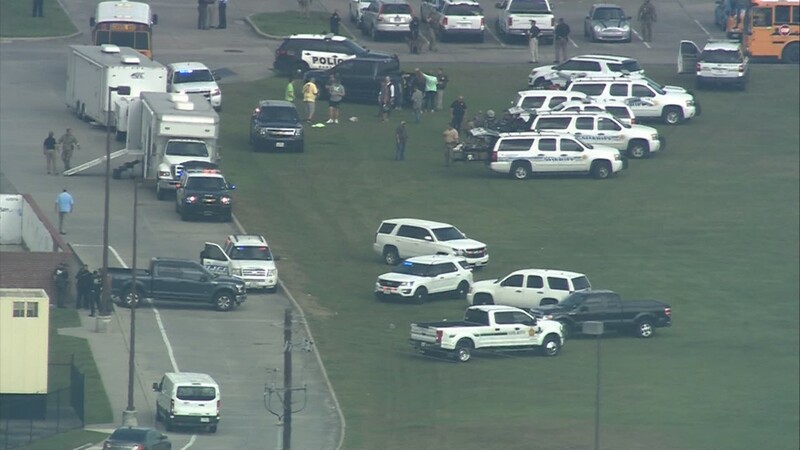 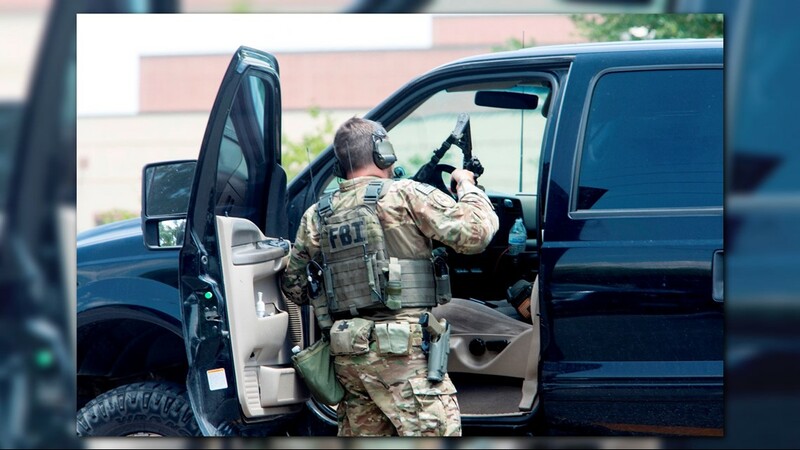 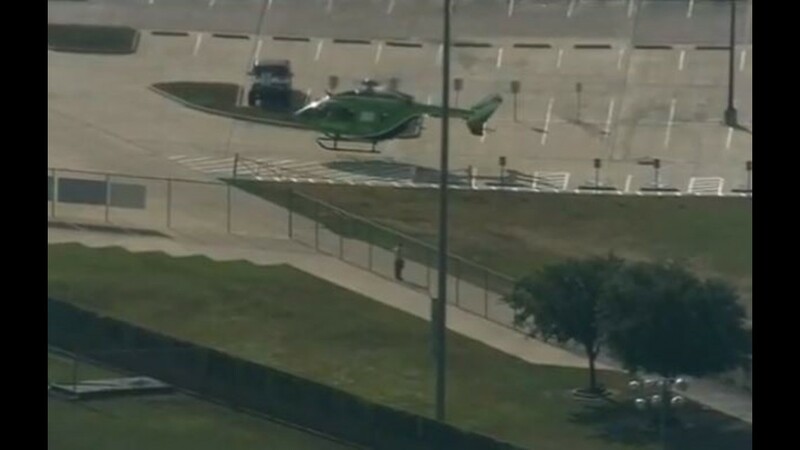 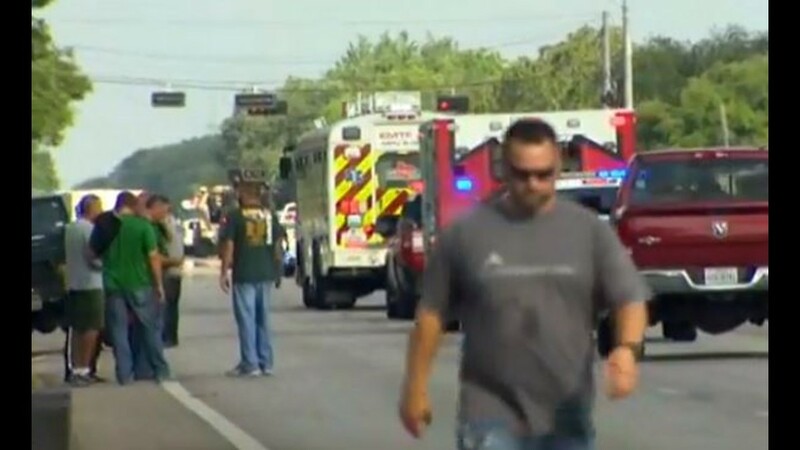 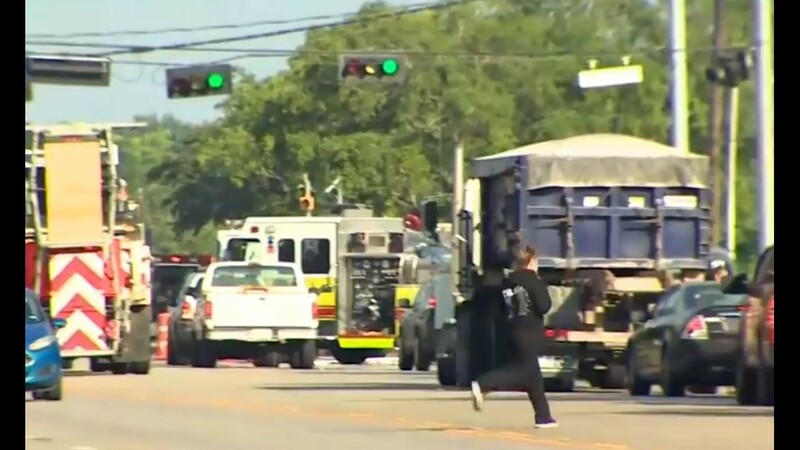 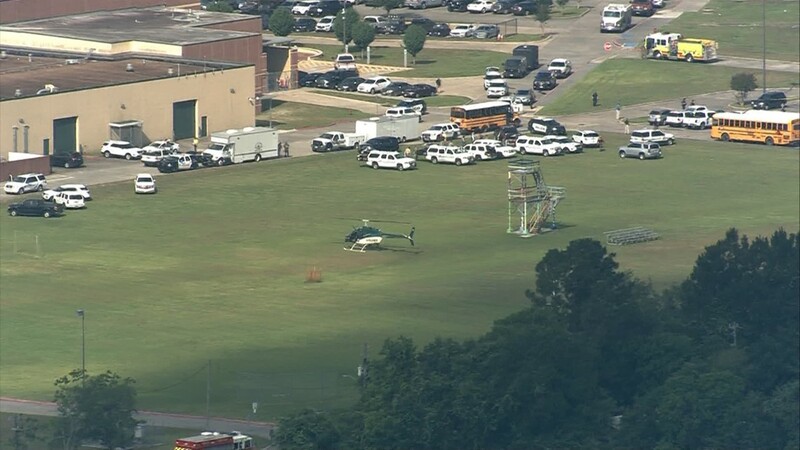 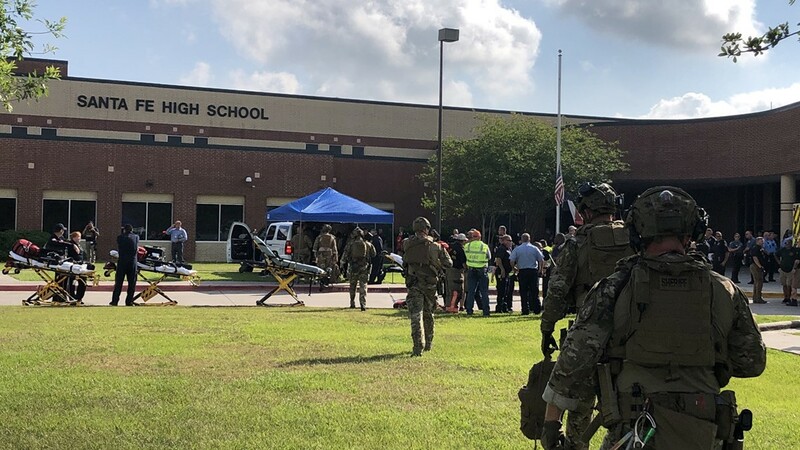 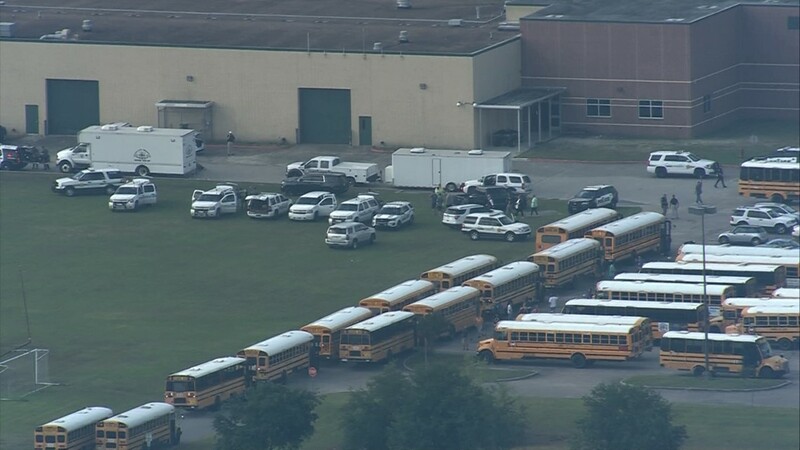 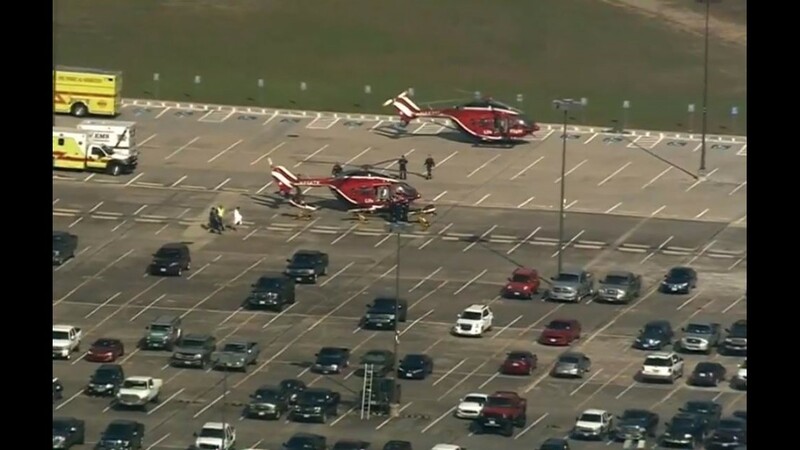 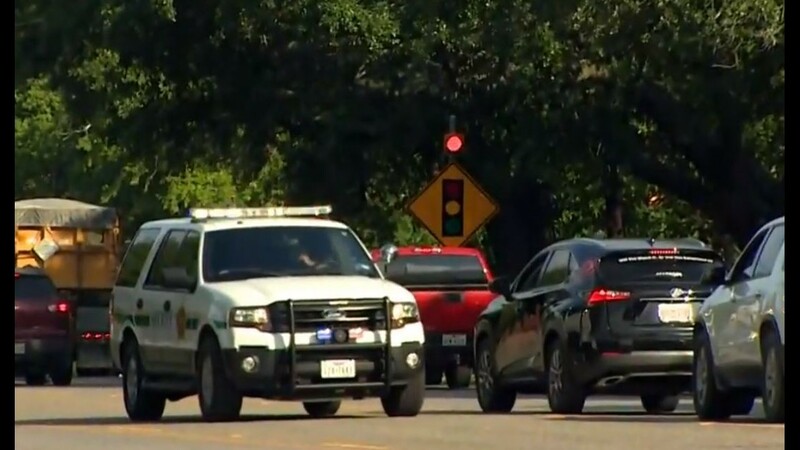 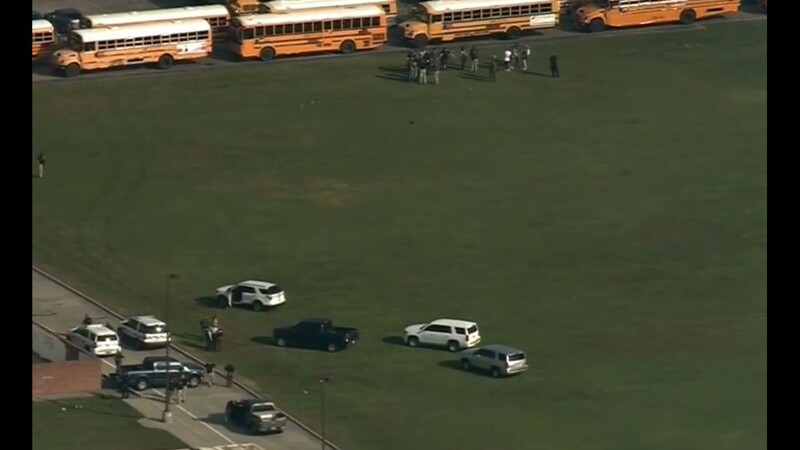 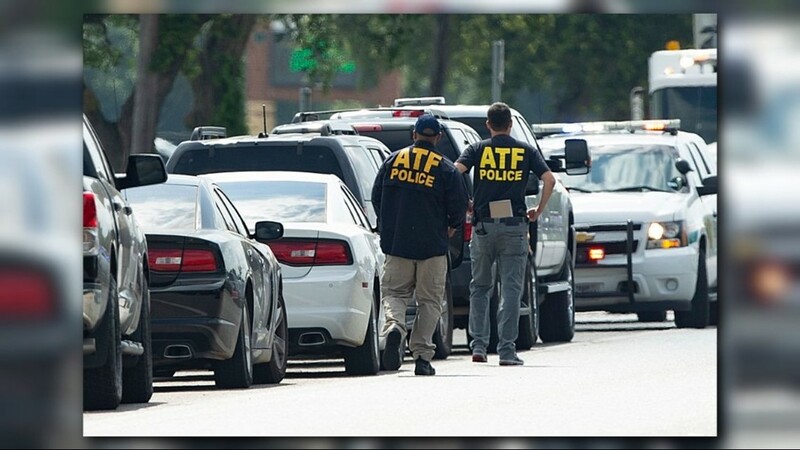 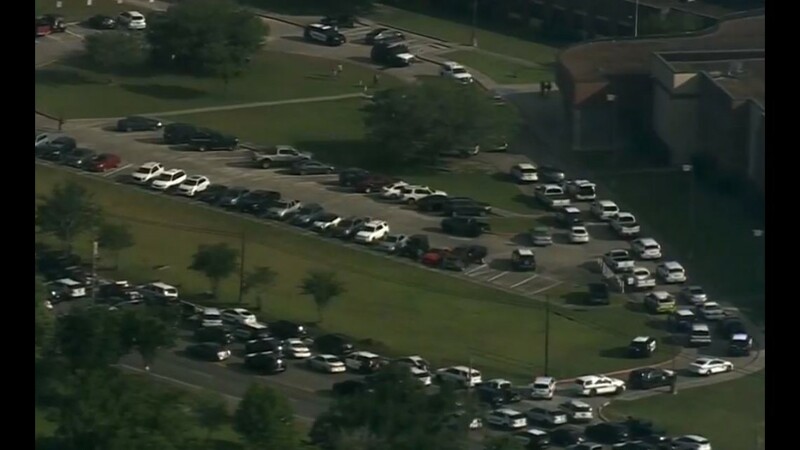 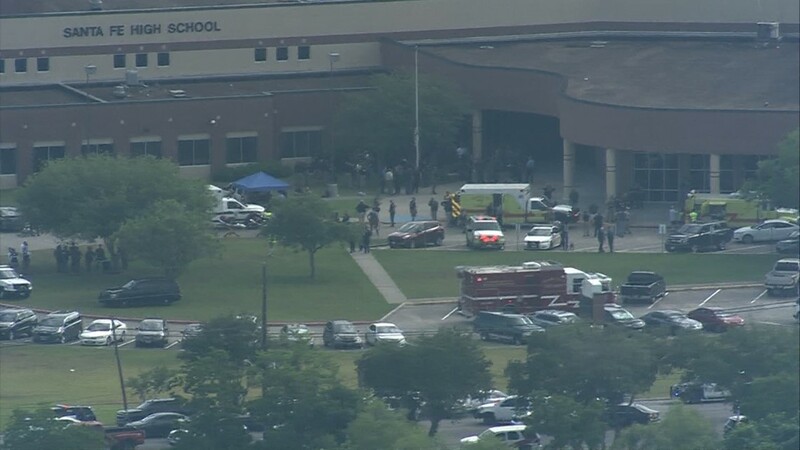 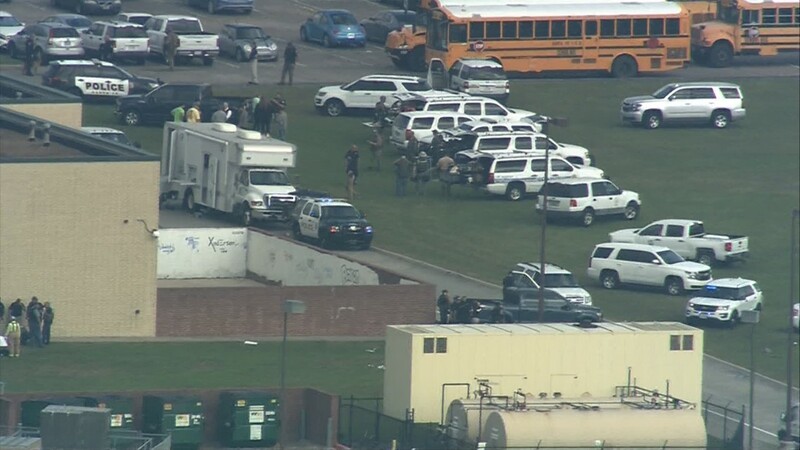 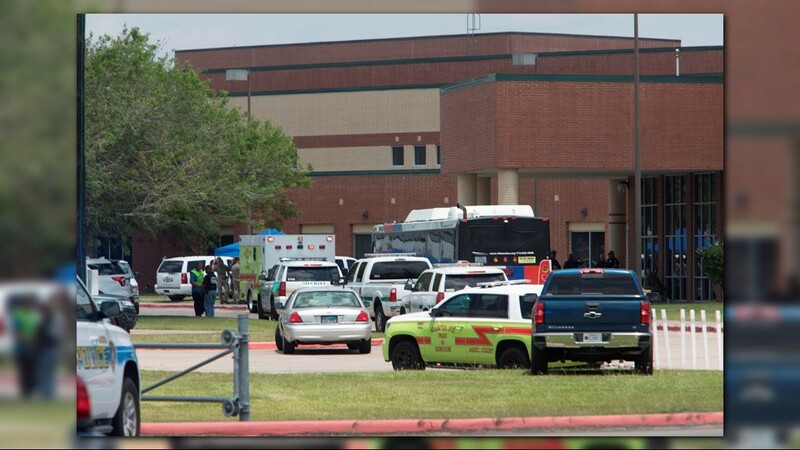 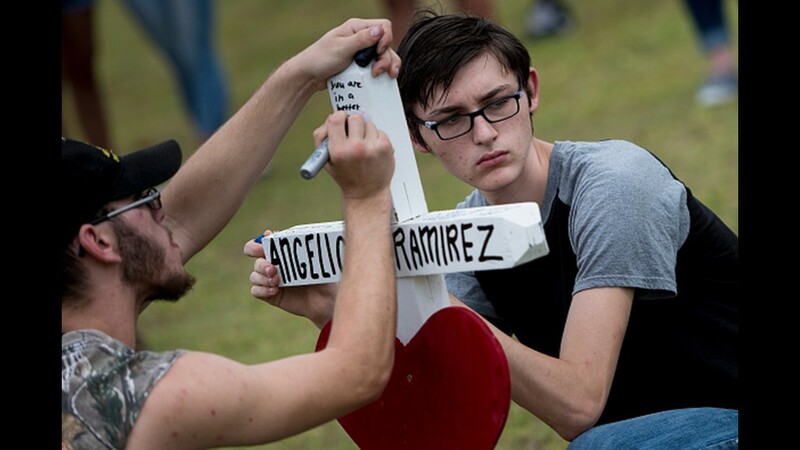 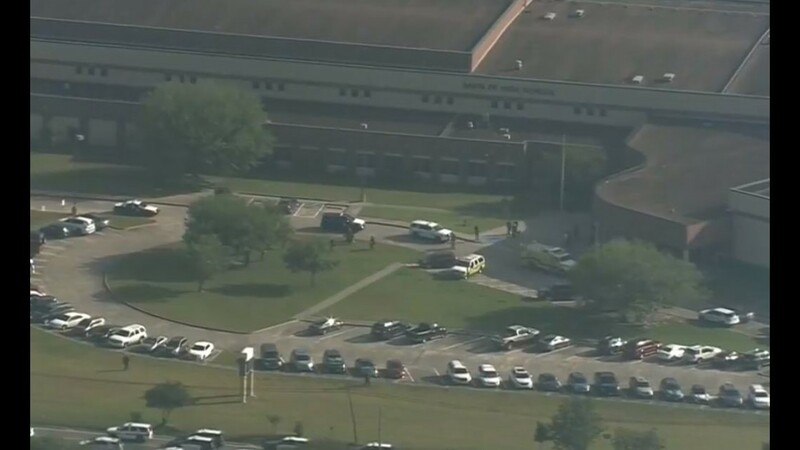 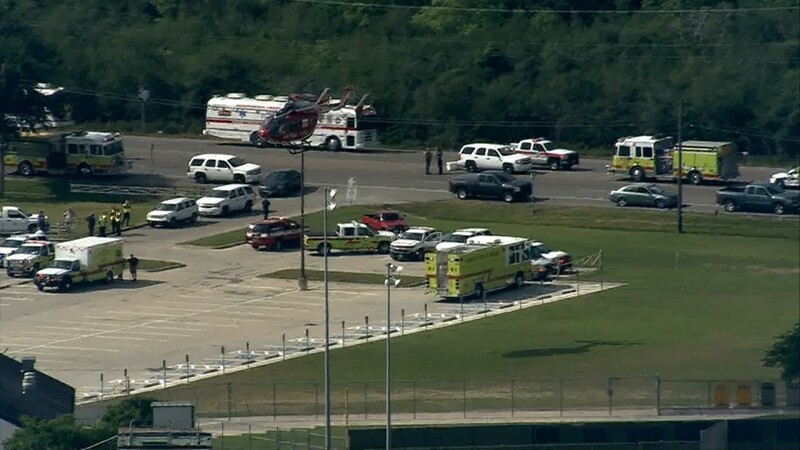 SANTA FE, Texas – A student walked into Santa Fe High School Friday morning armed with guns and explosives. 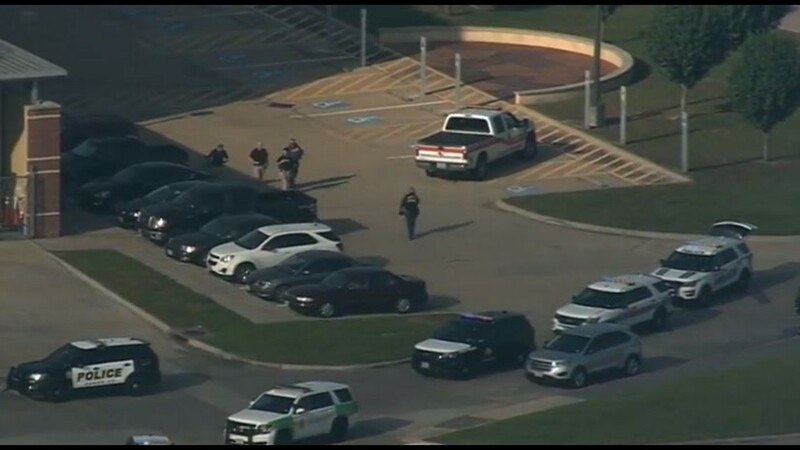 He opened fire, killing 10 people, wounding 10 others and forcing hundreds of terrified students and staff to run for their lives. 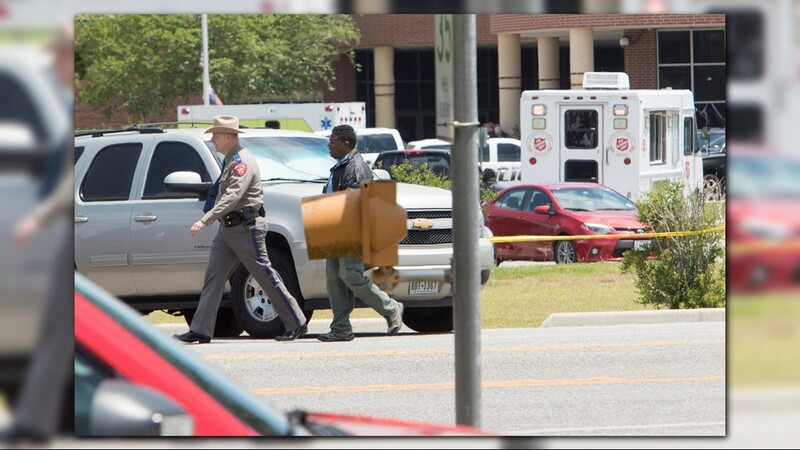 Dimitrios Pagourtzis, 17, has been charged with capital murder and aggravated assault of a police officer. 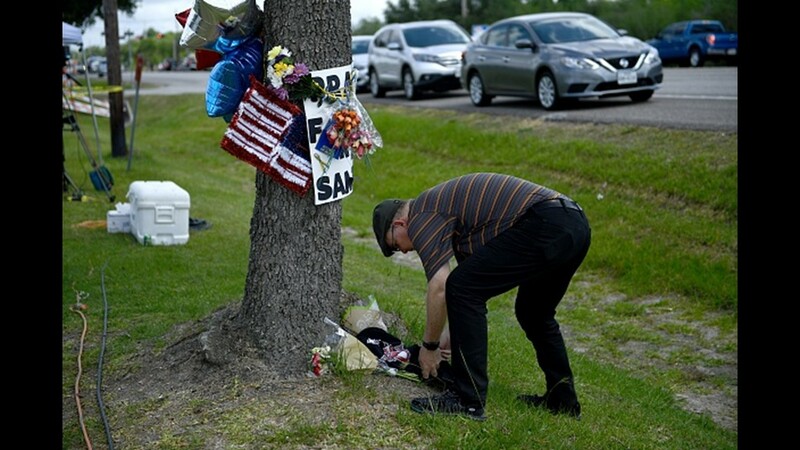 At his arraignment Friday evening, Pagourtzis held his head down as he requested a court-appointed attorney. 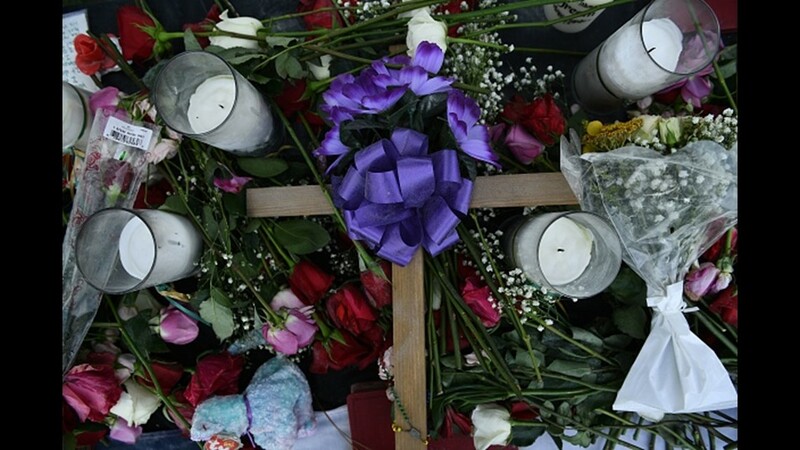 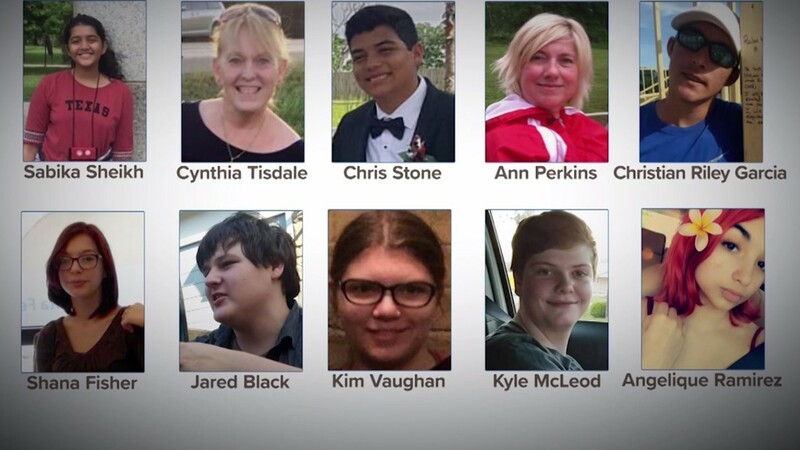 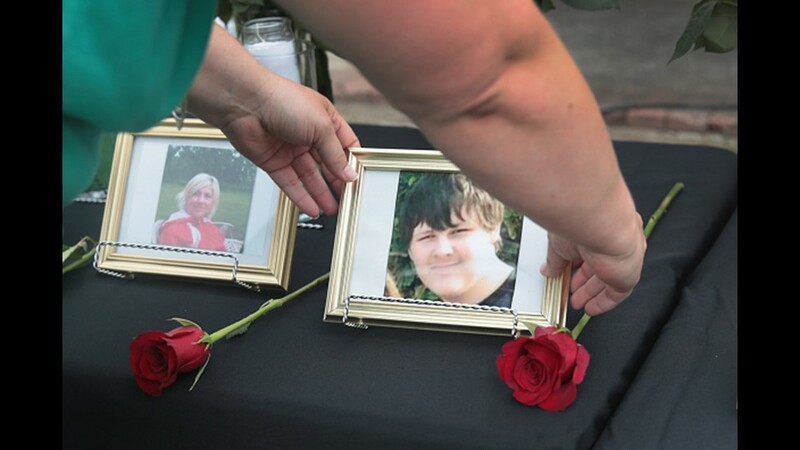 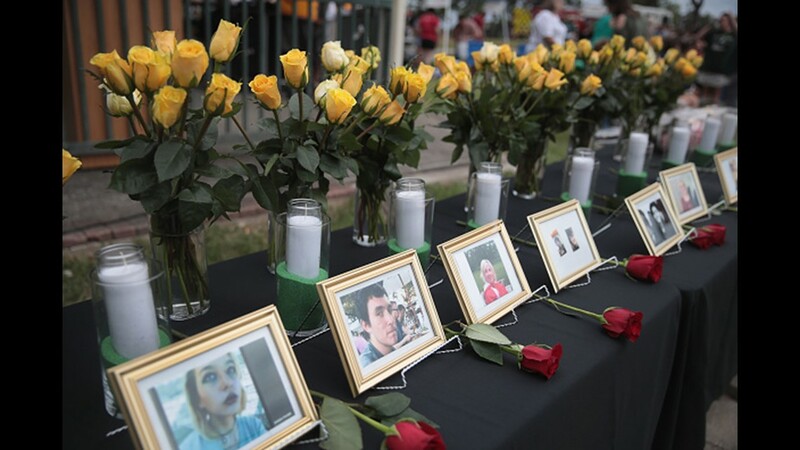 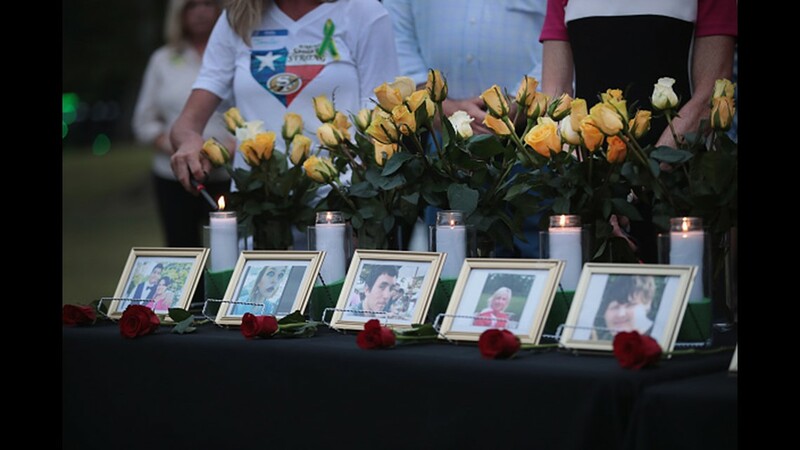 We've learned the names of six students and two teachers who died. 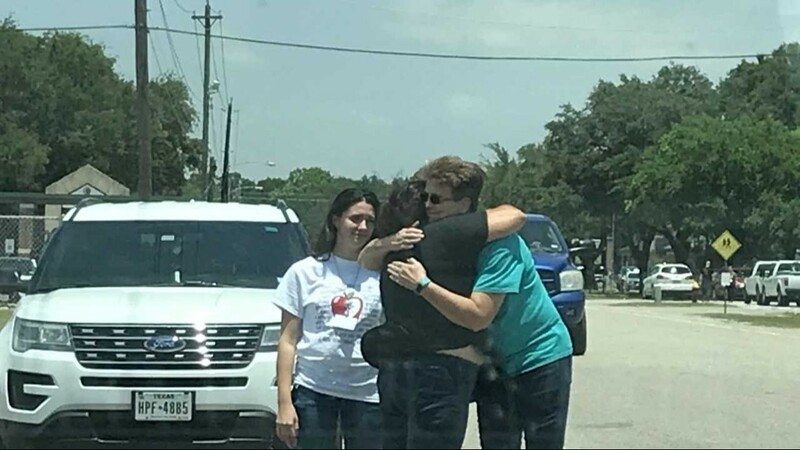 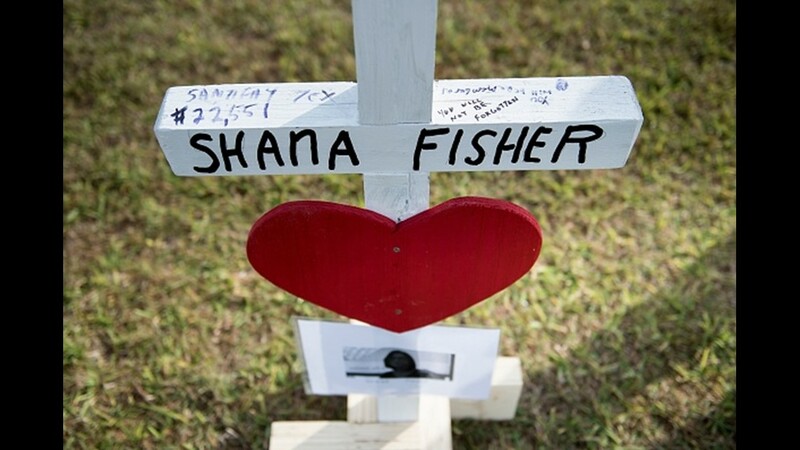 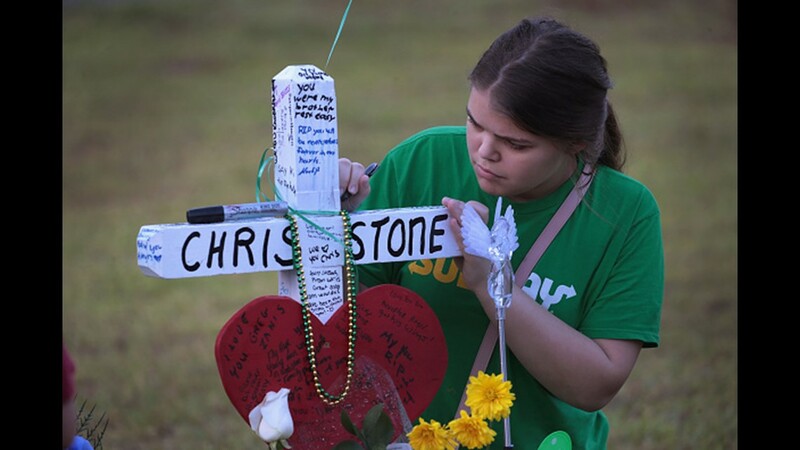 Chris Stone, Shana Fisher and Kim Vaughn were shot and killed in their first period art class, according to family members. 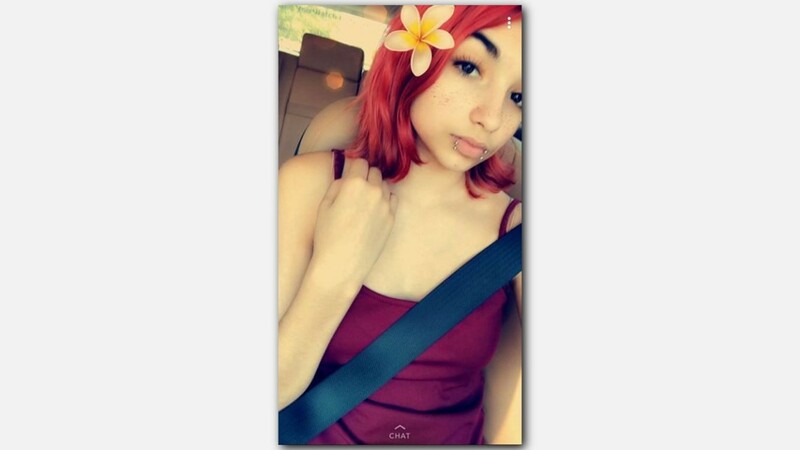 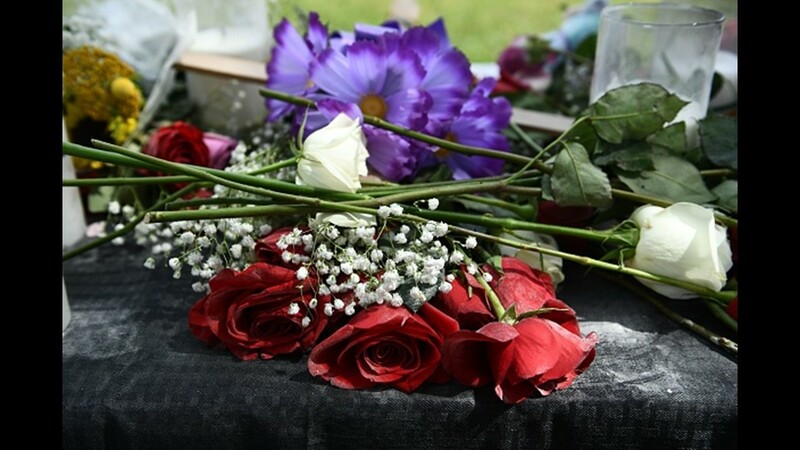 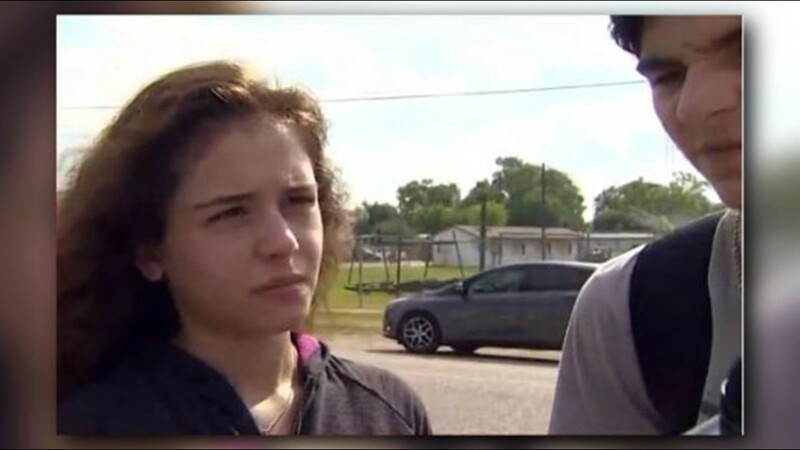 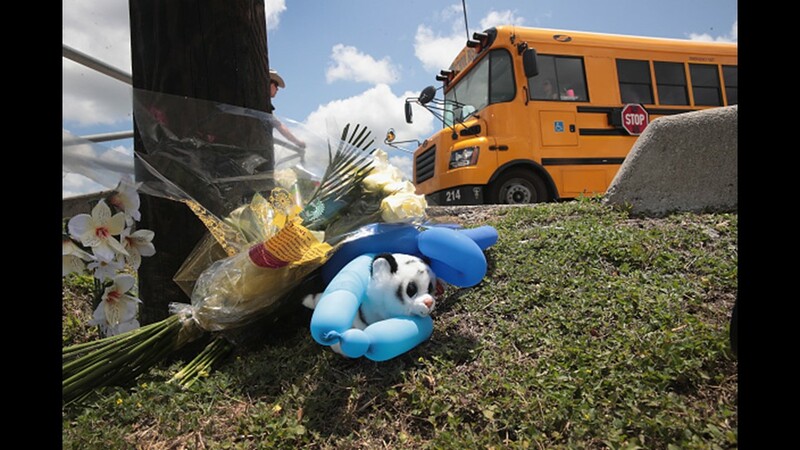 Relatives have confirmed students Angelique Ramirez and Kyle McLeod were among the victims. 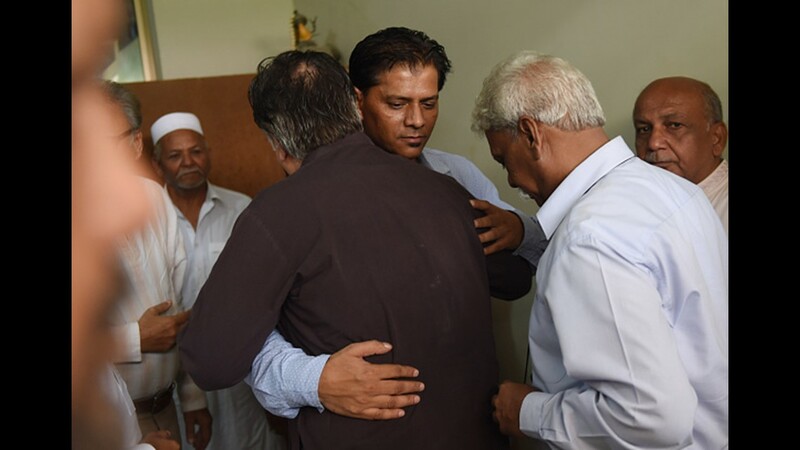 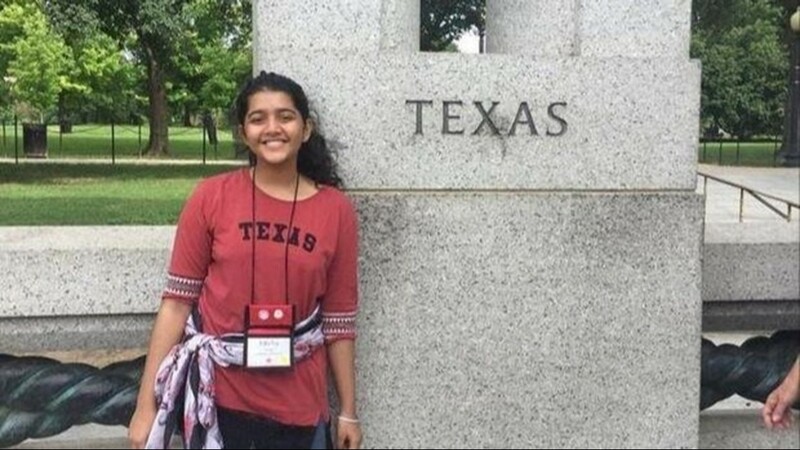 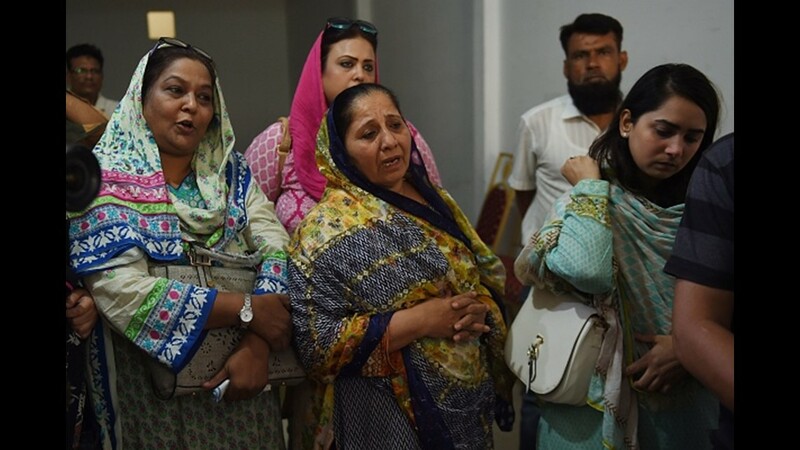 An exchange student from Pakistan, Sabika Sheikh, was also killed, according to the Pakistani ambassador in Washington. 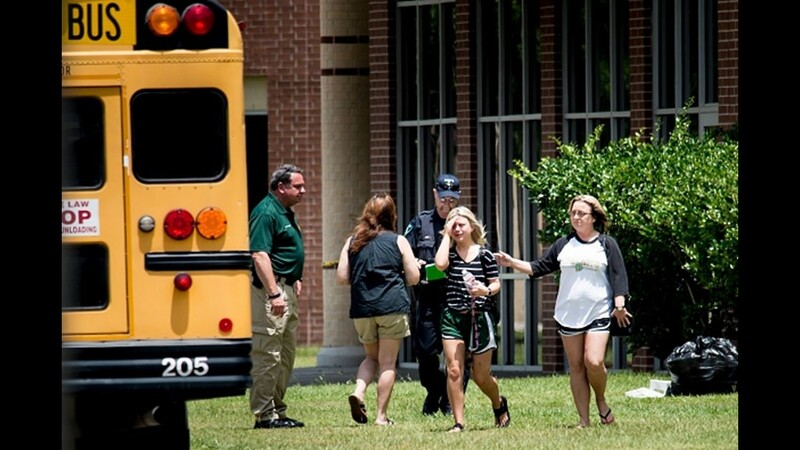 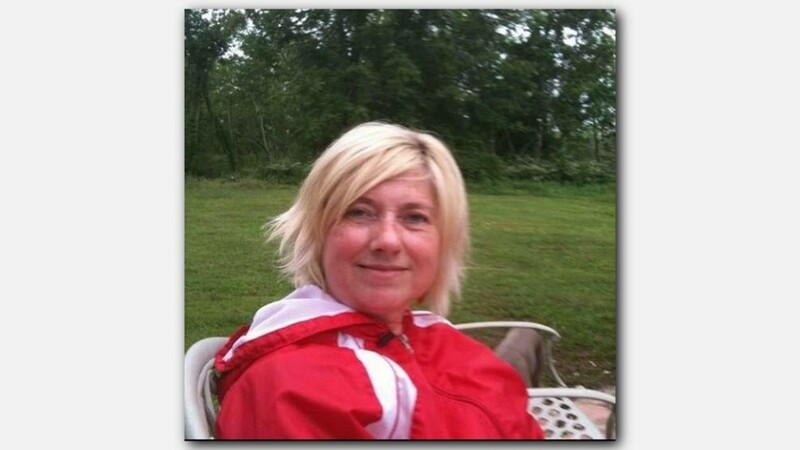 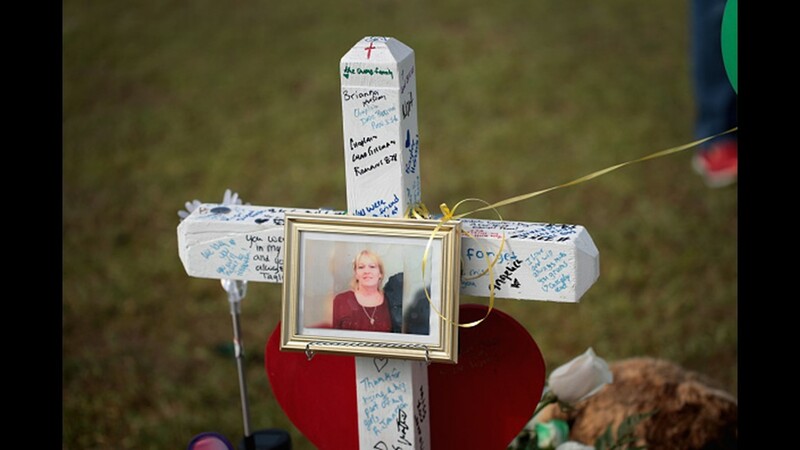 Relatives say Cynthia Tisdale, a substitute teacher in her 60s, died in the shooting. 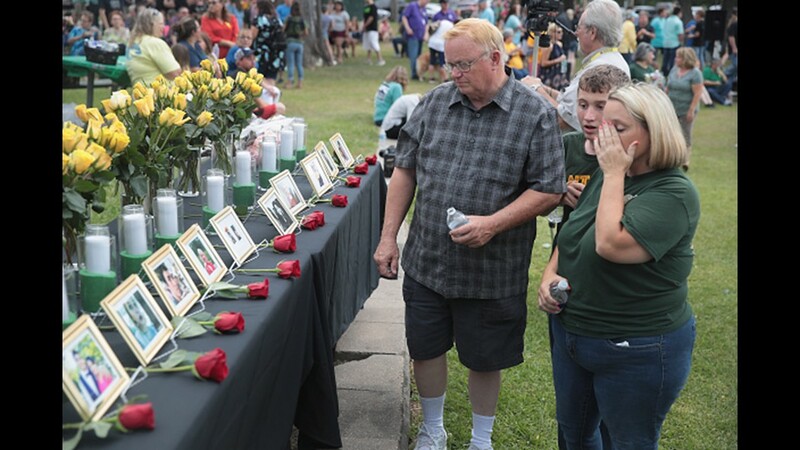 They say her three children and eight grandchildren were her passion. 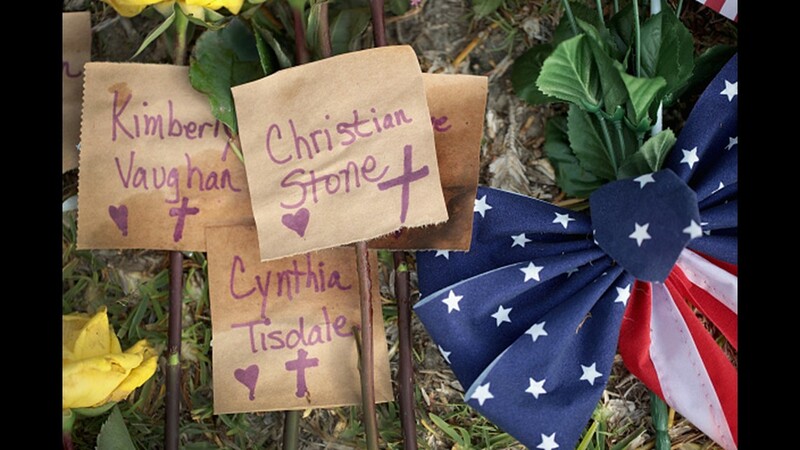 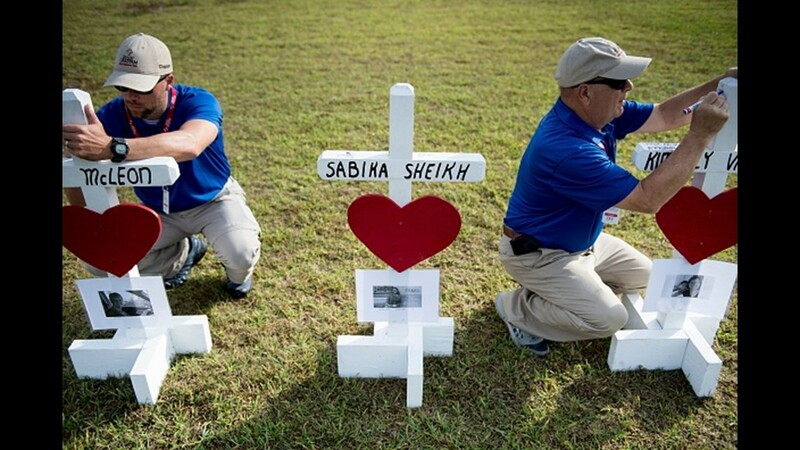 Substitute teacher Ann Perkins was among those who died. 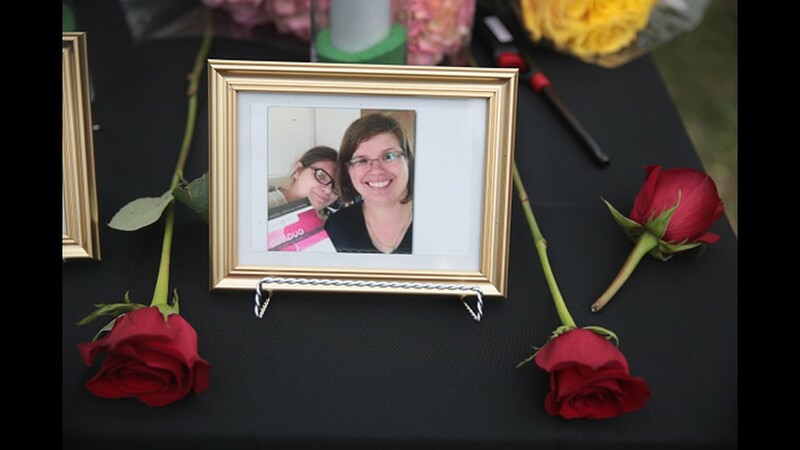 According to those who knew her, she was a beloved teacher and was well-loved in the community, CBS News reported. 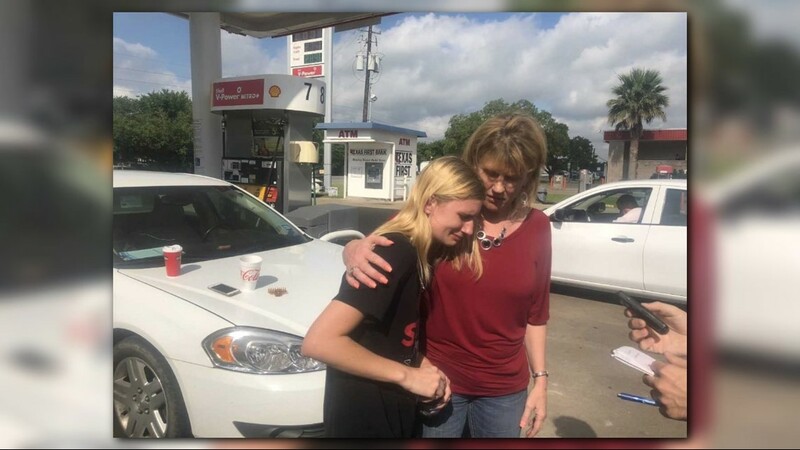 Several students tweeted, calling her the "sweetest lady" and a hero. 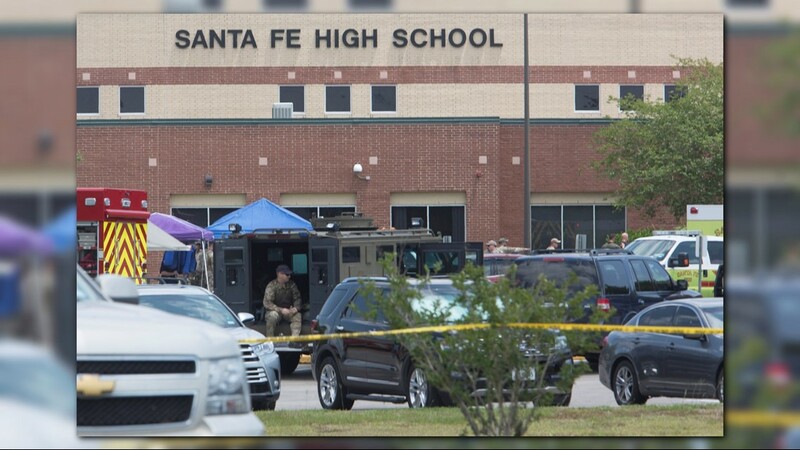 One of the most critically injured victims was Santa Fe ISD police officer John Barnes, who was shot when he confronted Pagourtzis. 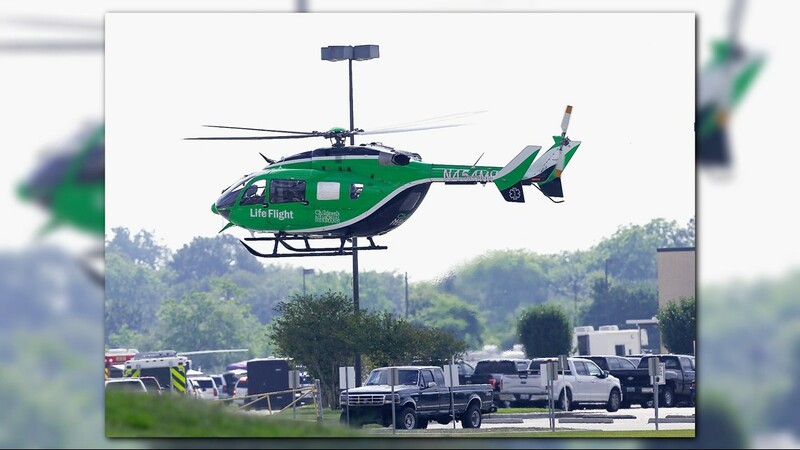 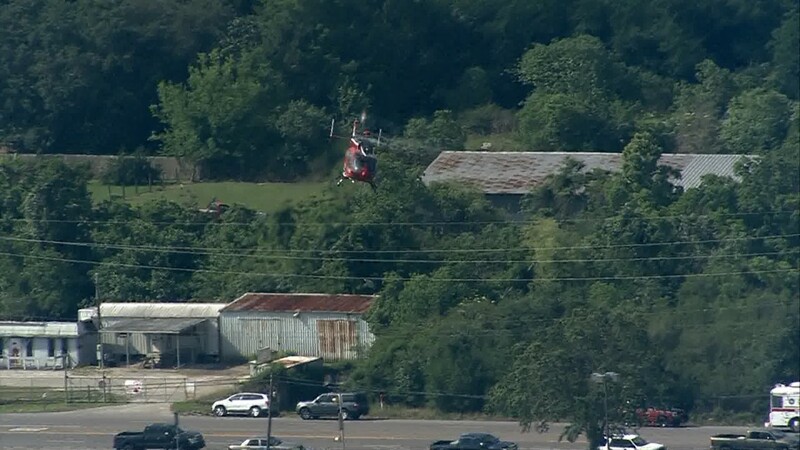 Officer Barnes, 47, was rushed by Life Flight to UTMB where he remains in critical condition. 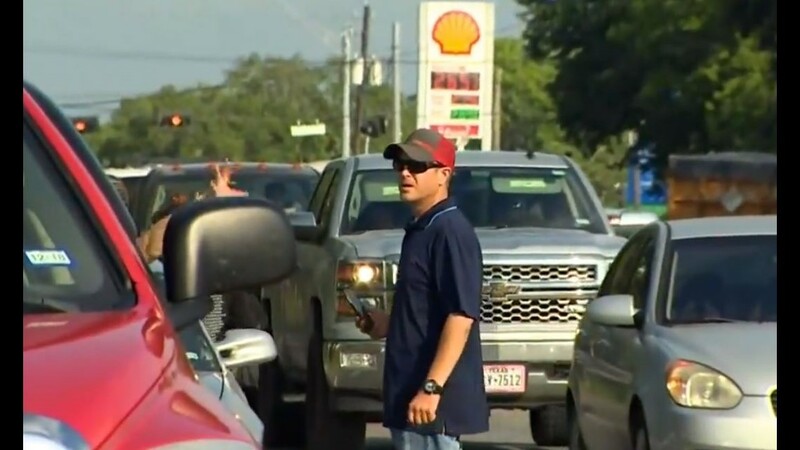 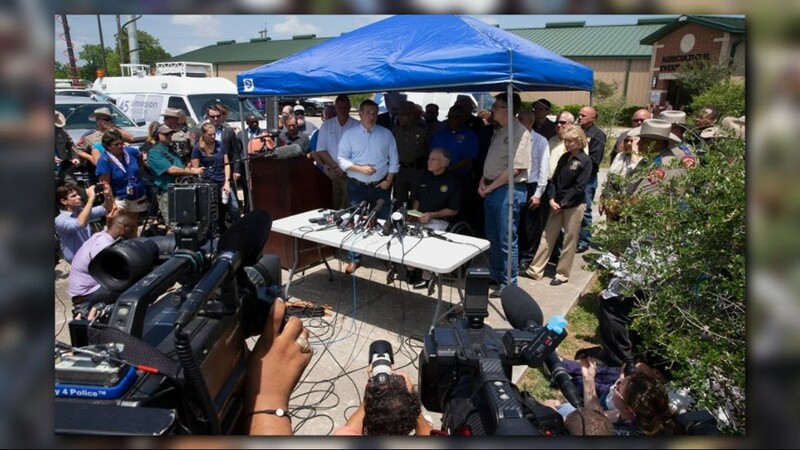 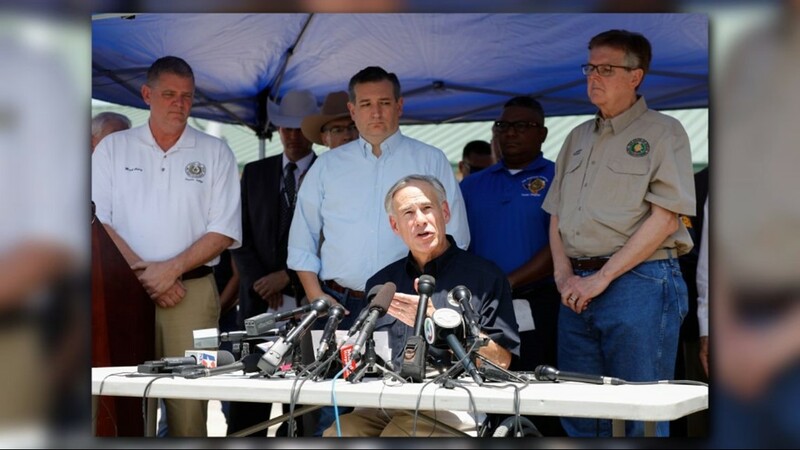 The suspect wanted to commit suicide but instead gave himself up,” Governor Greg Abbott said, calling him a coward. 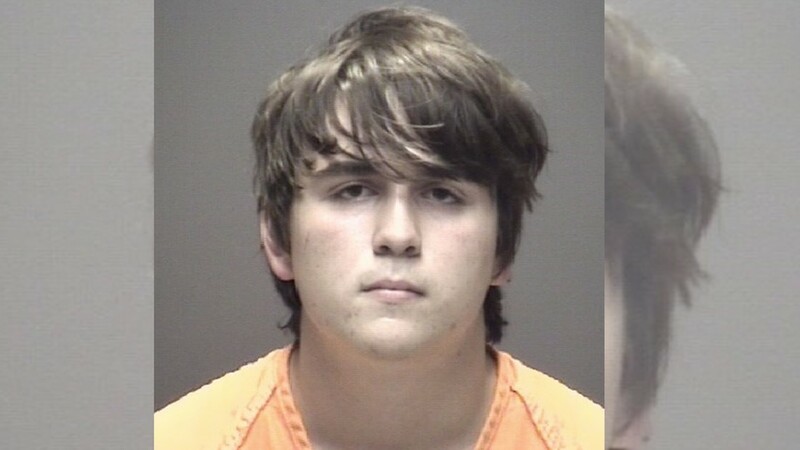 Abbott said investigators found information on the Pagourtzis' cell phone and computer about his plans for a mass shooting. 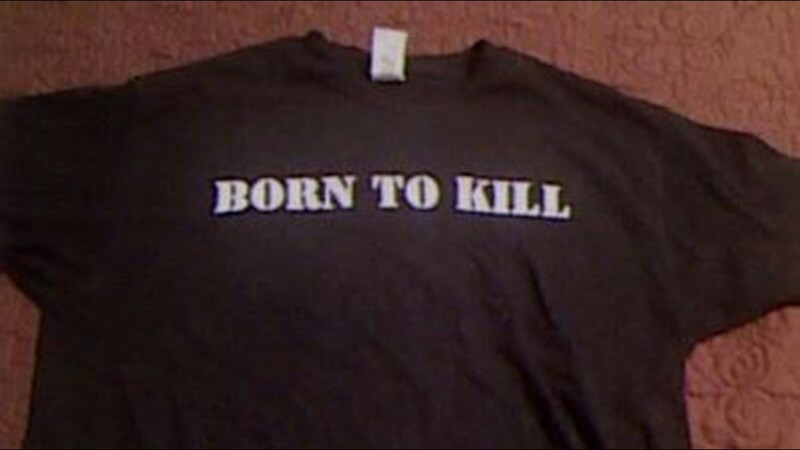 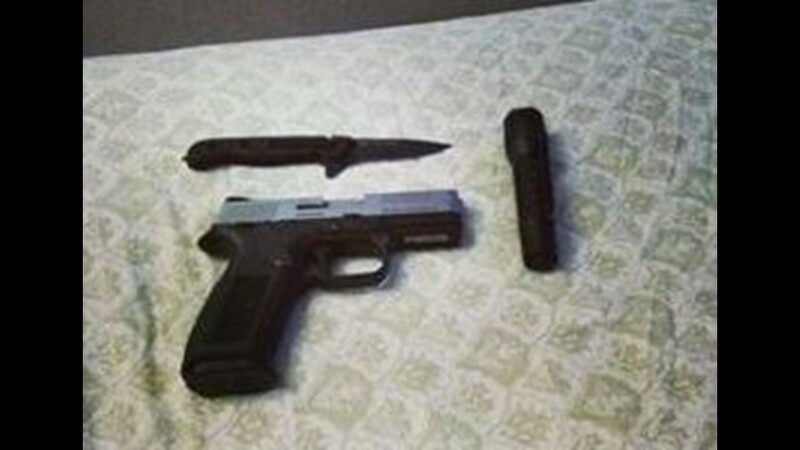 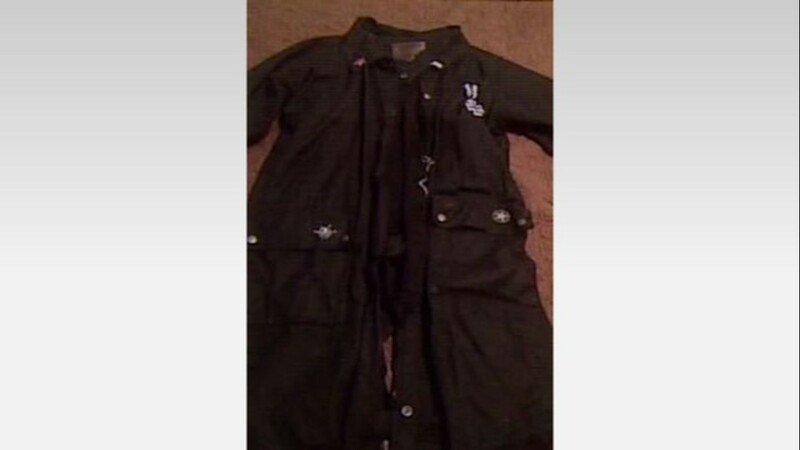 There were also disturbing hints on his social media pages, including photos with a gun and knife, a "Born to Kill" t-shirt and a coat with a Nazi medallion and other symbols of evil and rebellion. 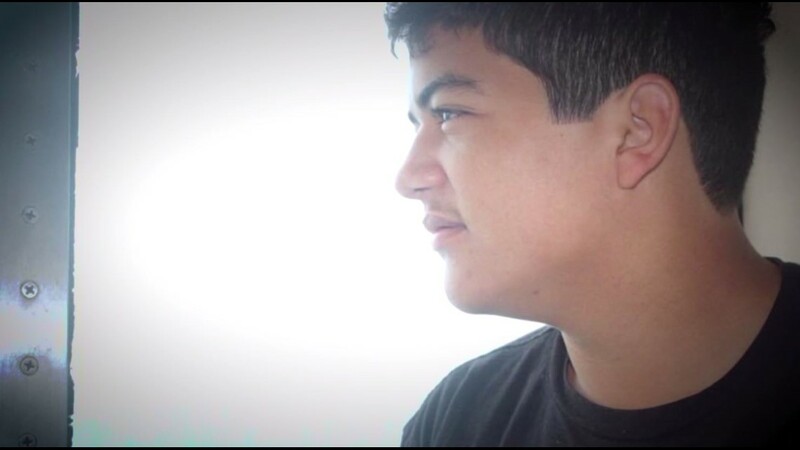 Aiden Gomez played football with Pagourtzis. 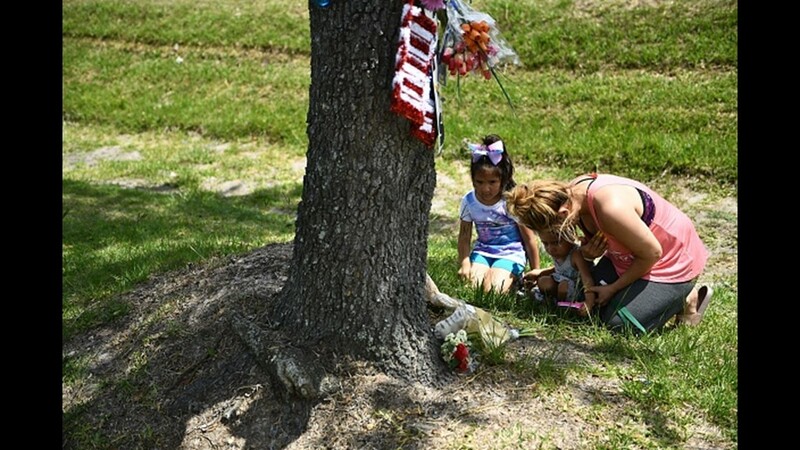 "He was really quiet," Gomez said. 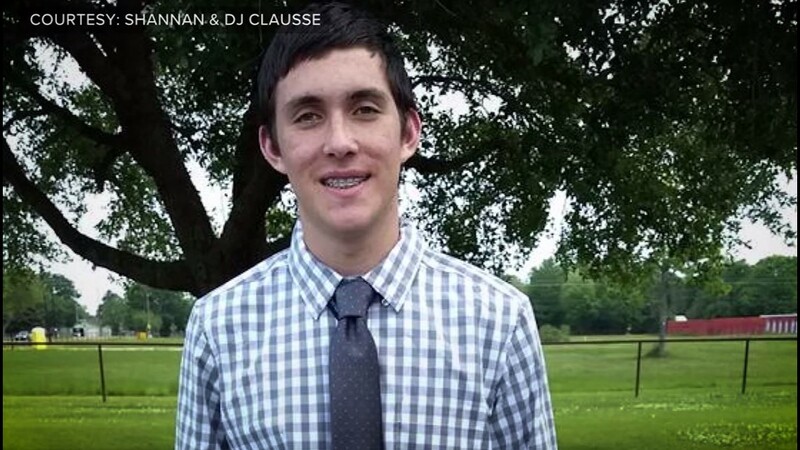 "He was just kind of awkward." 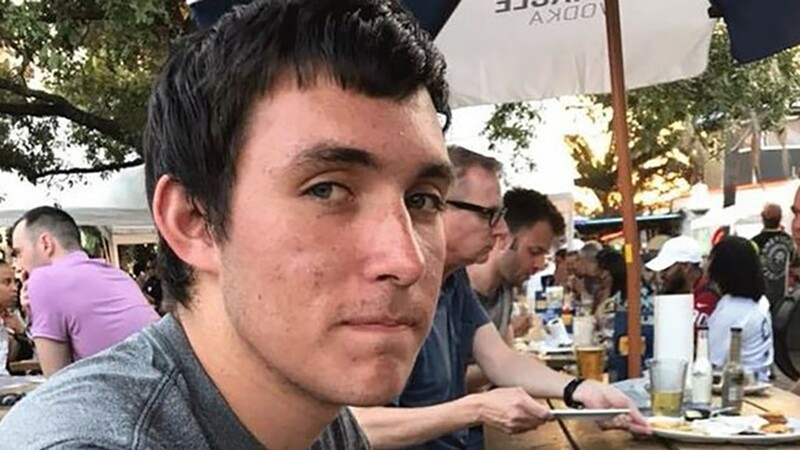 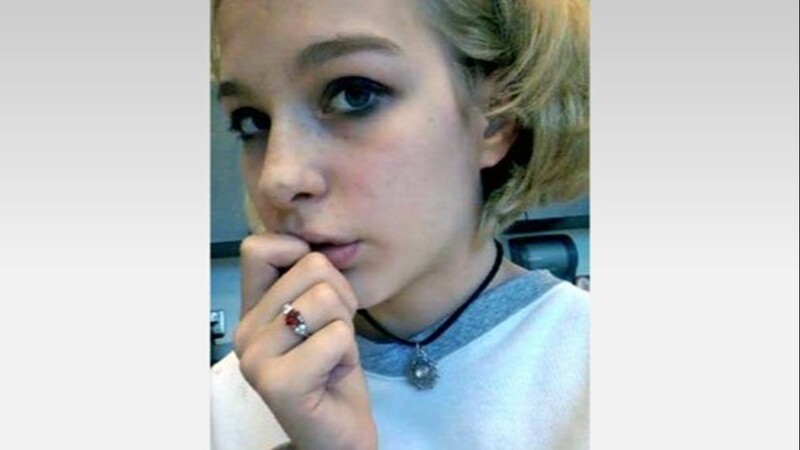 Police say Pagourtzis also planted explosive devices in and around the school, which is located about 30 miles southeast of Houston. 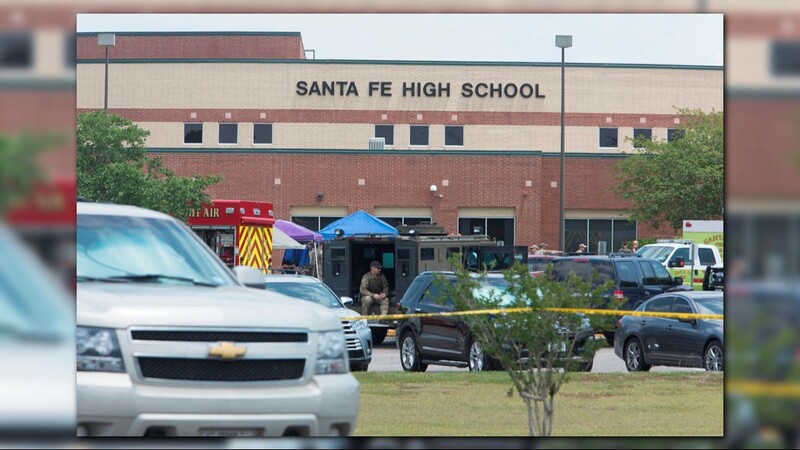 They warned there might be other devices out there and Santa Fe residents should stay alert and call 911 if they see anything suspicious. 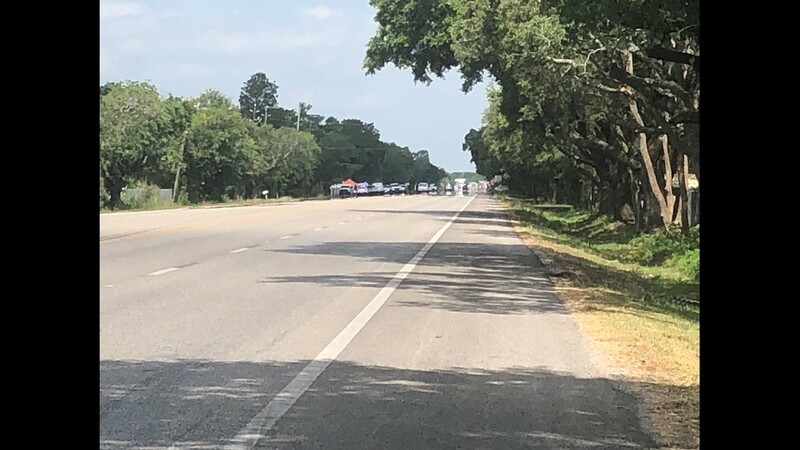 Dozens of federal, state and local officers are at the suspect's house in the 19000 block of Highway 6 to search for more possible explosives and other evidence. 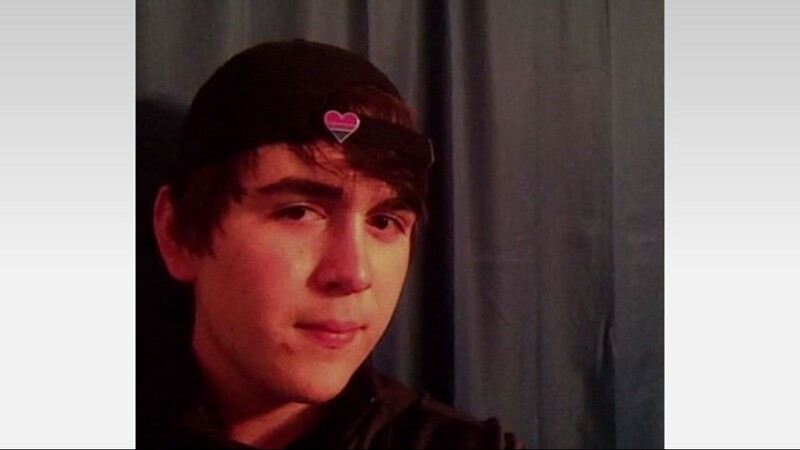 Pagourtzis lives in the house with his parents and used his father's guns in the shooting, Abbott said. 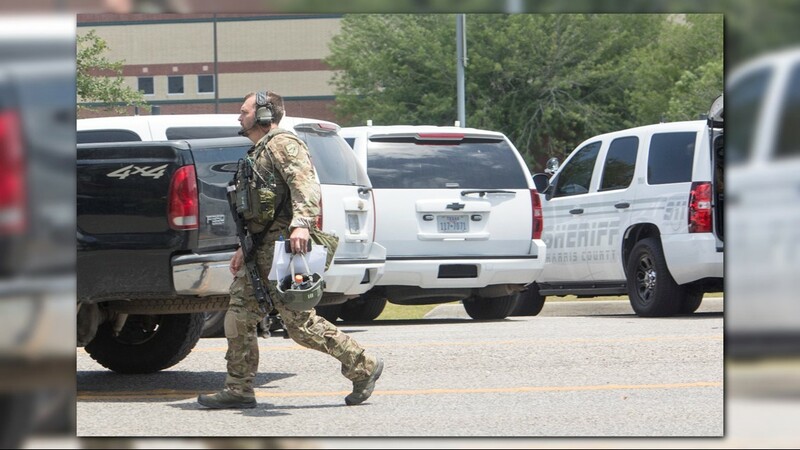 The gunfire was first reported around 7:40 a.m. Friday. 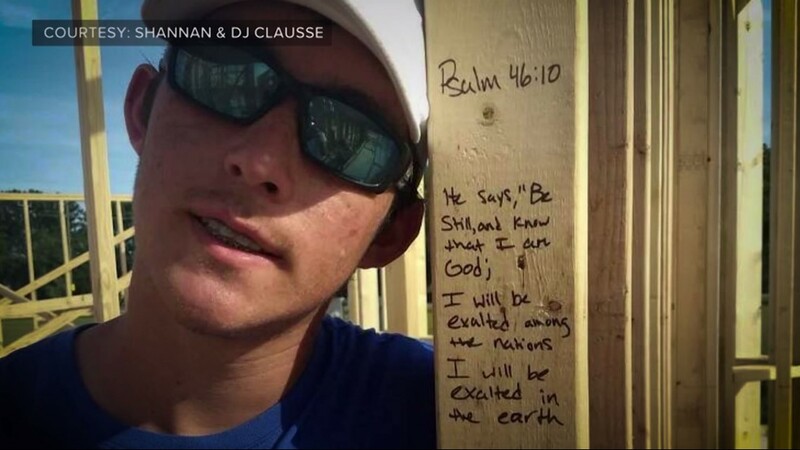 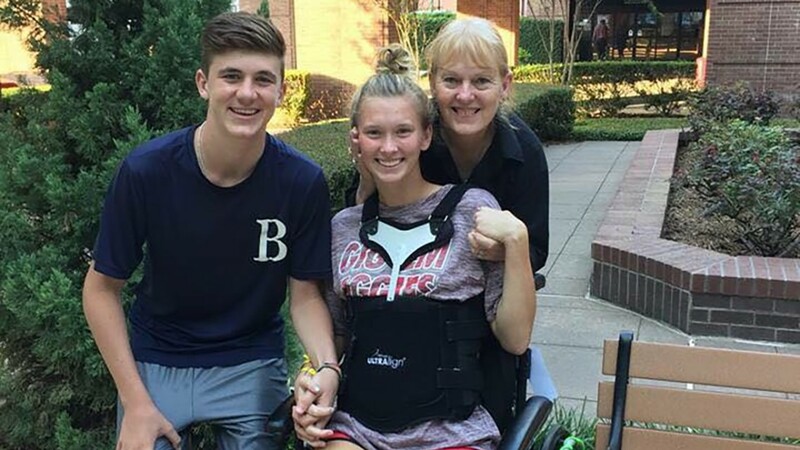 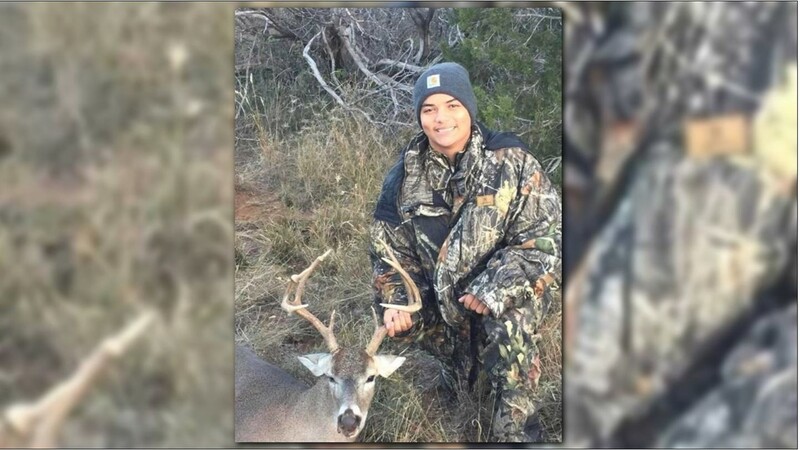 Rome Shubert, a member of the high school baseball team, was shot in the back of the head. 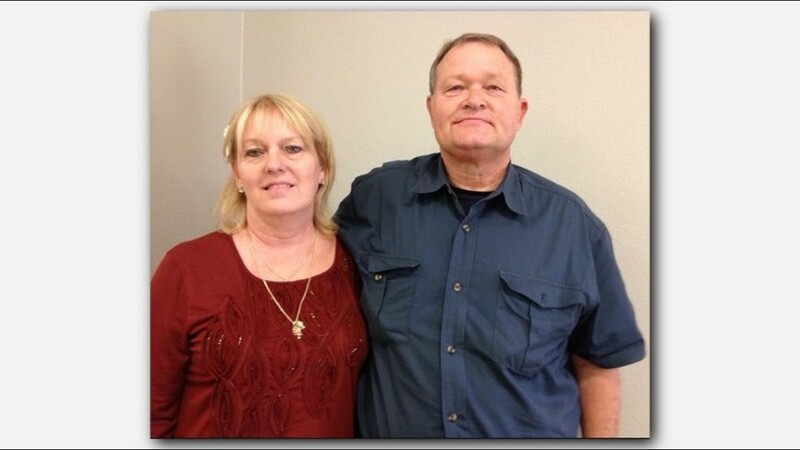 Shubert was treated and released. 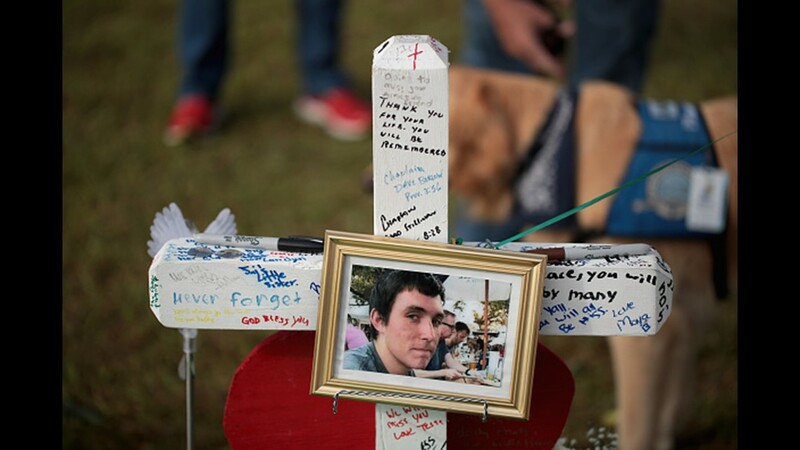 Zach Lawford was two doors down from the classroom where the shots were fired. 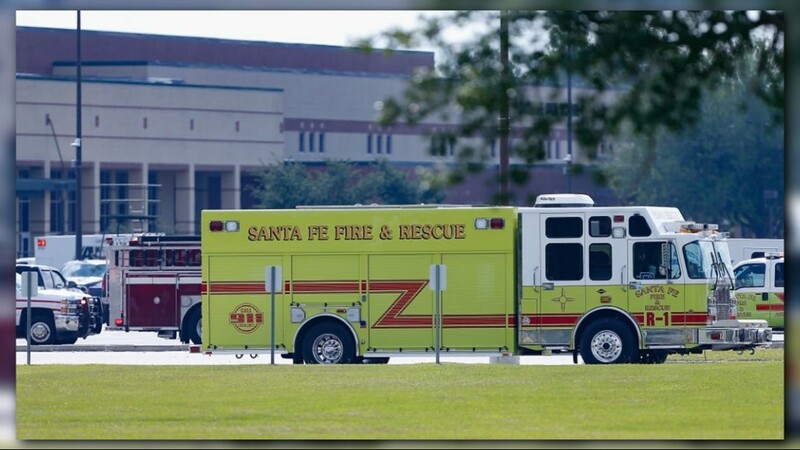 He said his substitute teacher ran into the hallway and pulled the fire alarm to alert everyone in the school. 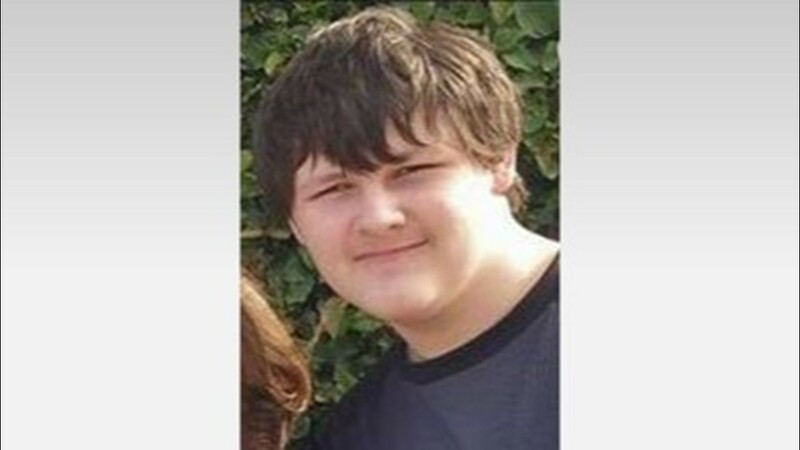 John Robinson, 16, says he was in first period English class when the fire alarm went off. 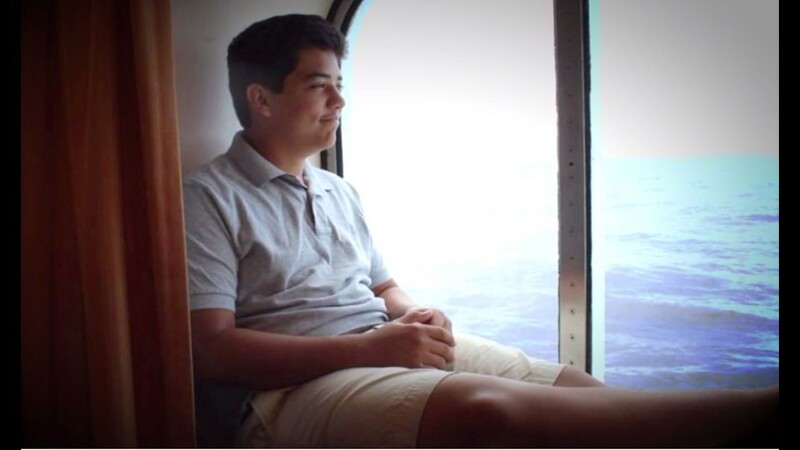 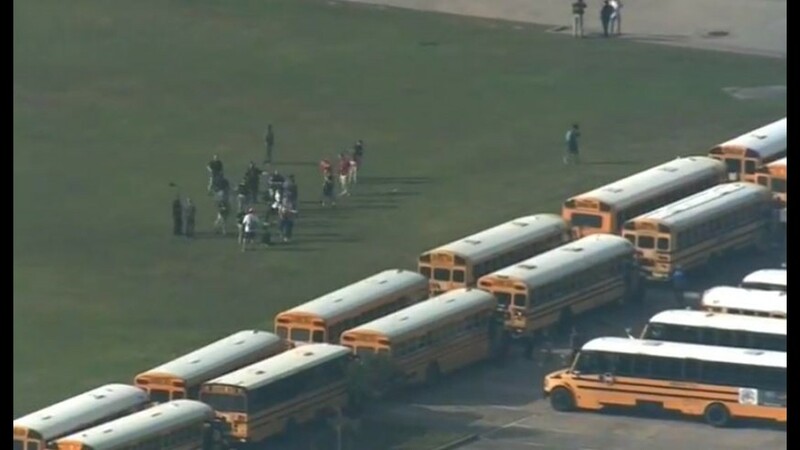 "Everybody was just trying to get away from the school. 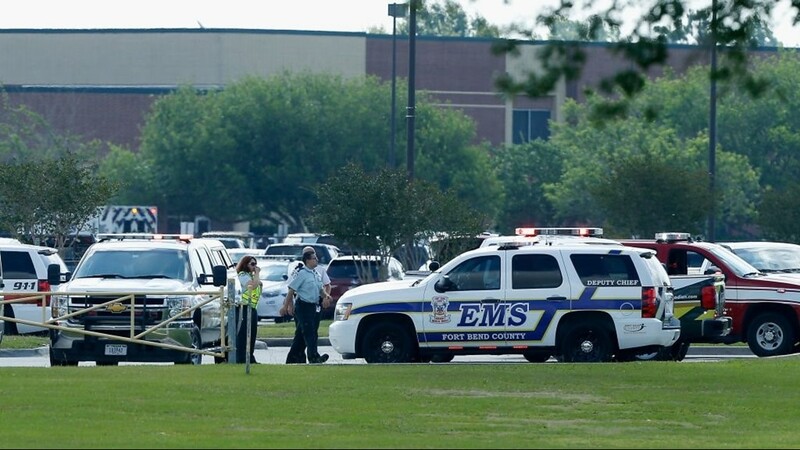 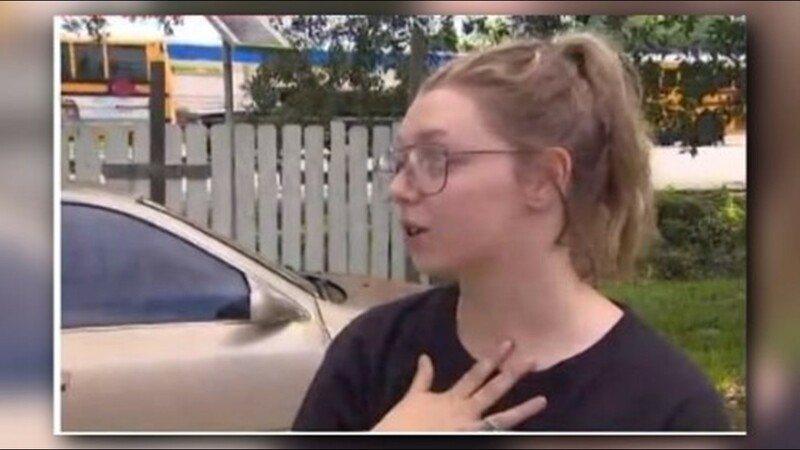 They kept saying there was a shooter, people were shot," Robinson says. 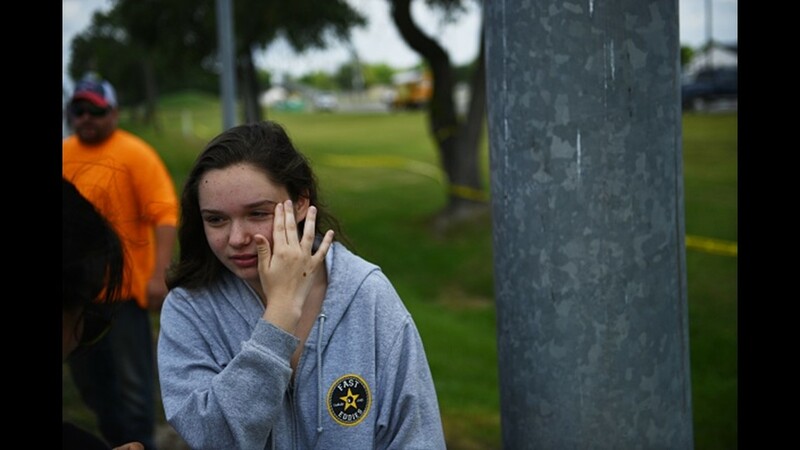 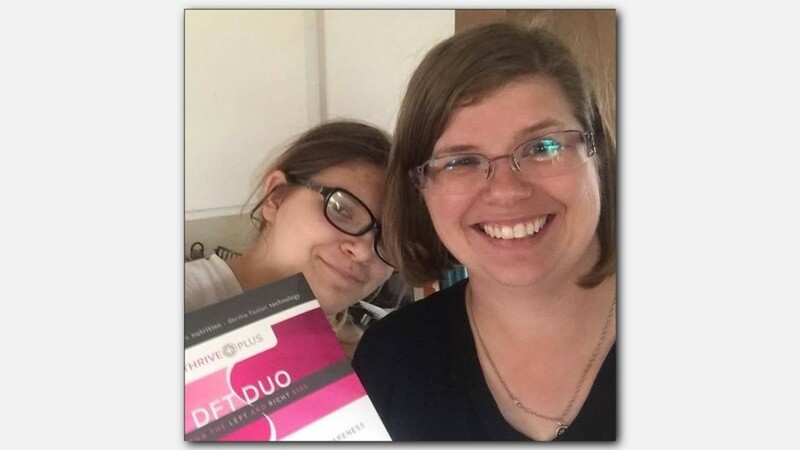 “One minute we’re sitting there doing math problems and then we’re being told to run for our lives," Lauren Little said. 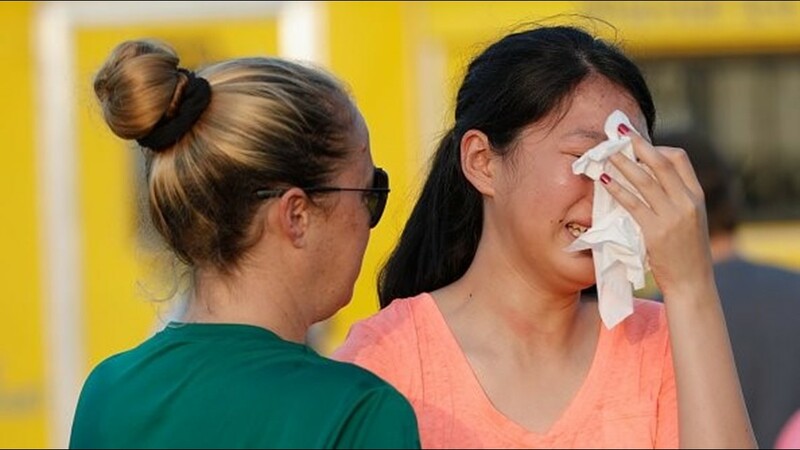 "There were people crying and screaming everywhere." 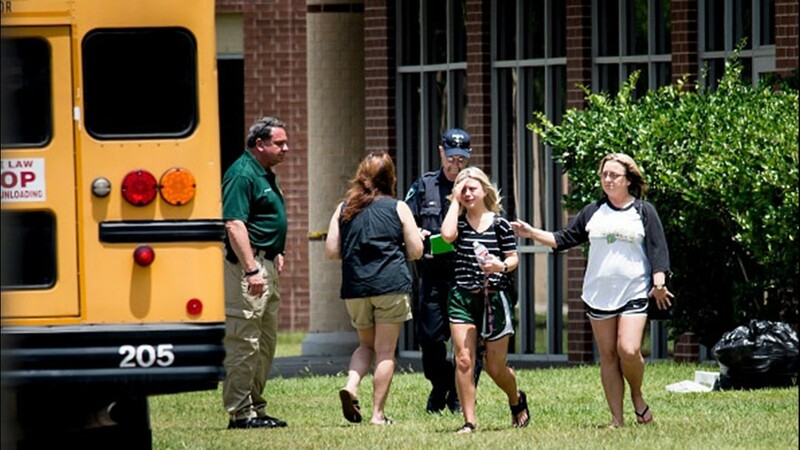 Sophomore Dakota Shrader said she didn't realize there was a shooting until she got outside. 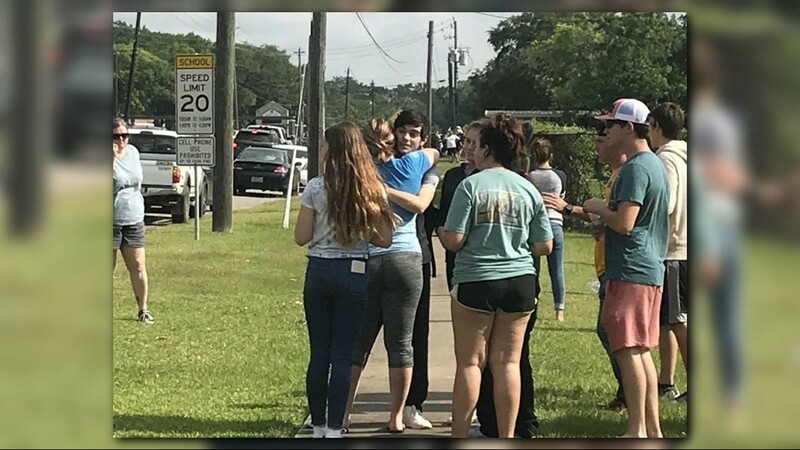 Teachers took many of the students across Highway 6 where they took cover behind a car wash. 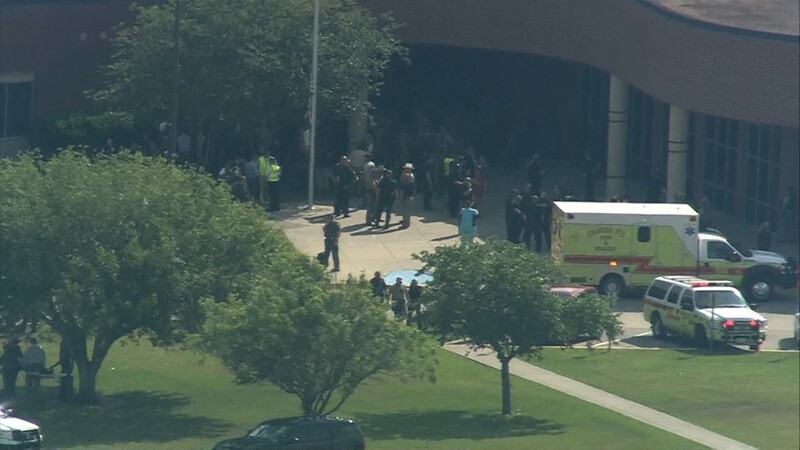 They were eventually moved to the Alamo Gym where many were reunited with frantic parents. 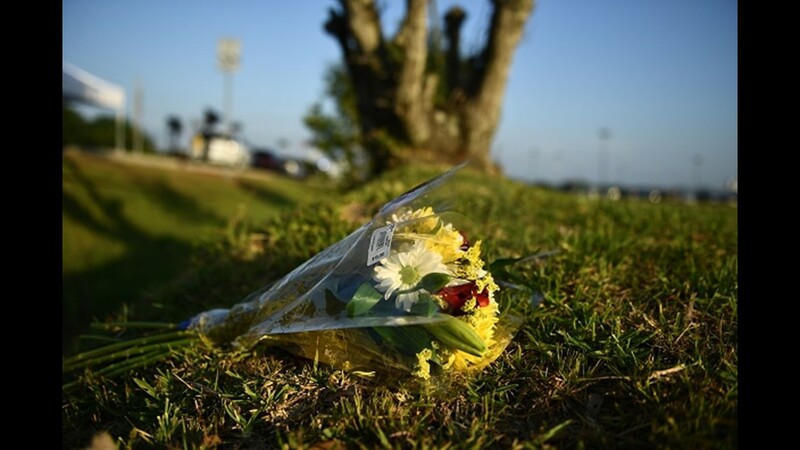 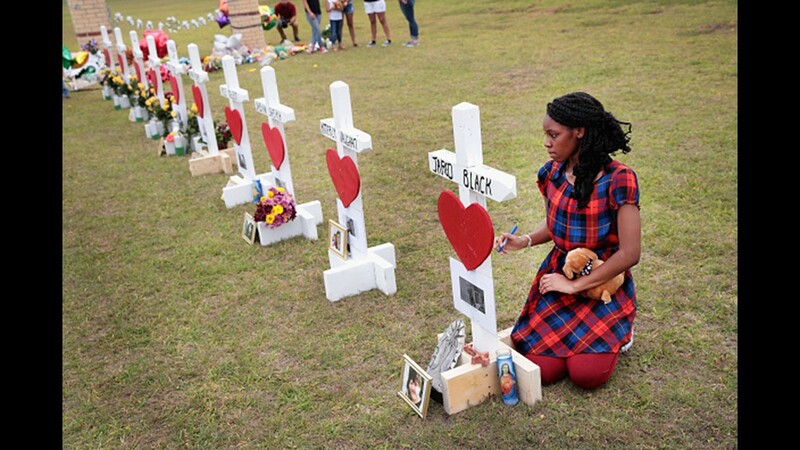 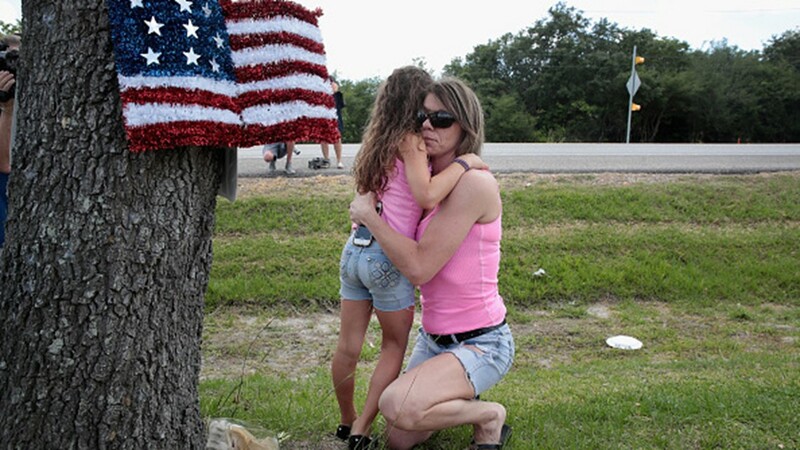 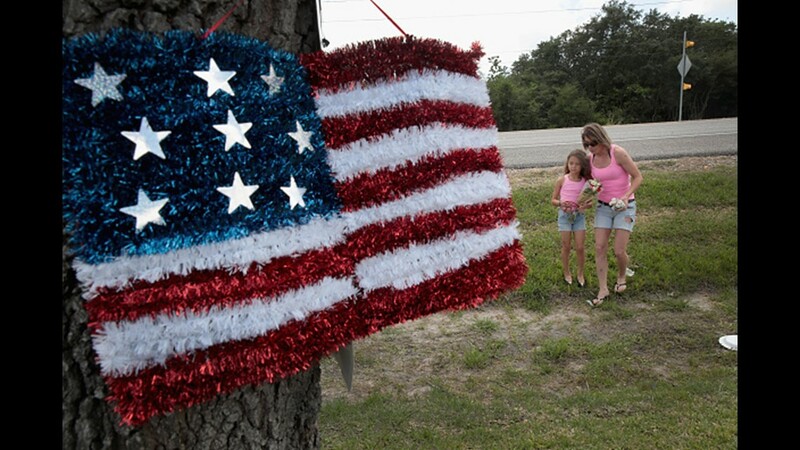 But some parents got the devastating news that their child was killed or injured. 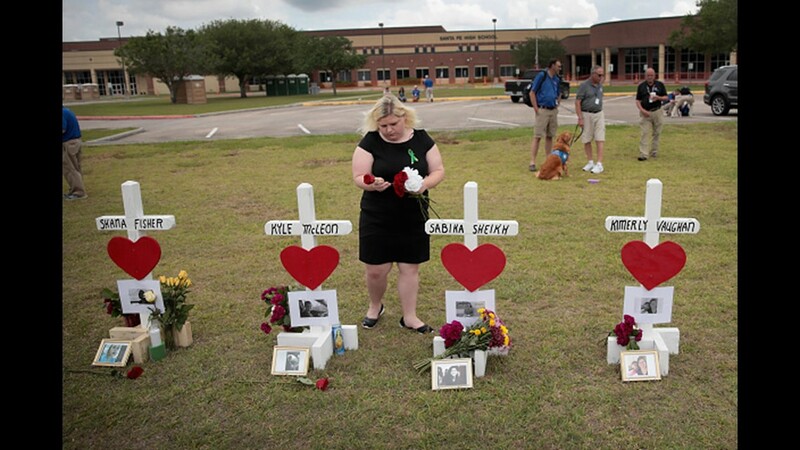 "My heart goes out to everyone of those parents. 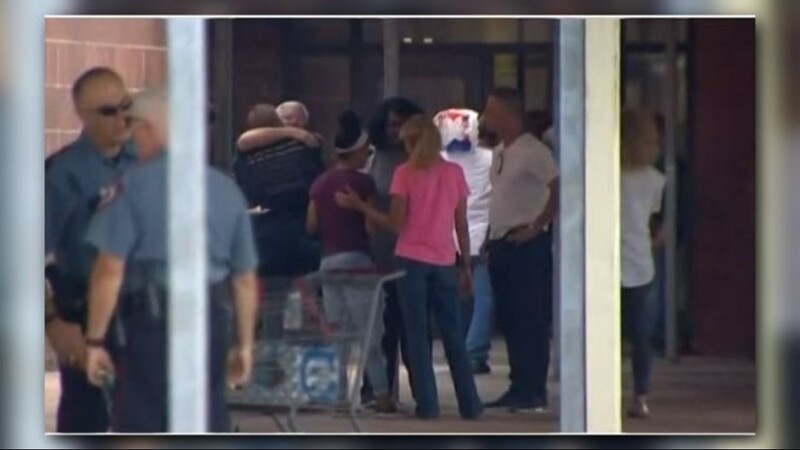 I couldn't even imagine not being able to have my kid home," said one emotional mom whose child wasn't hurt. 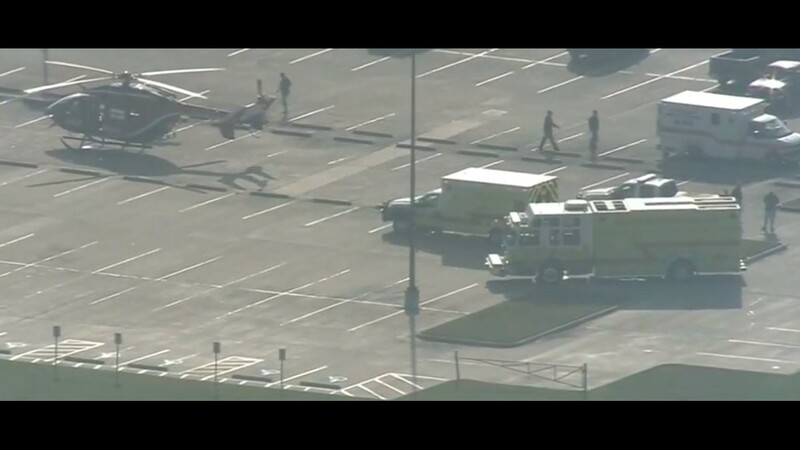 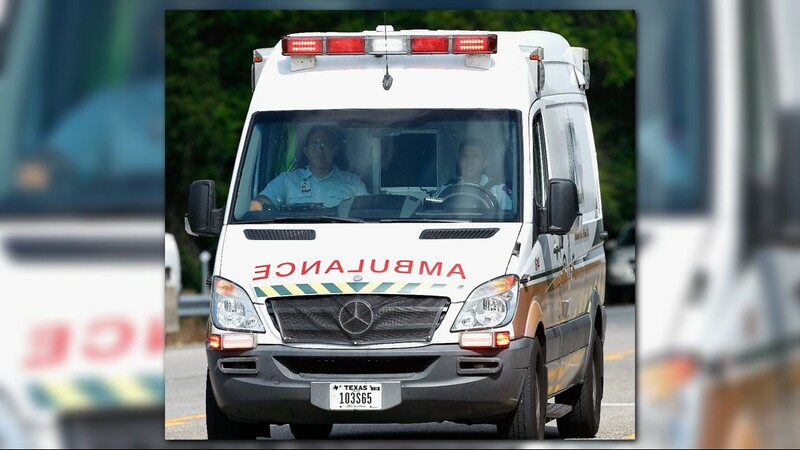 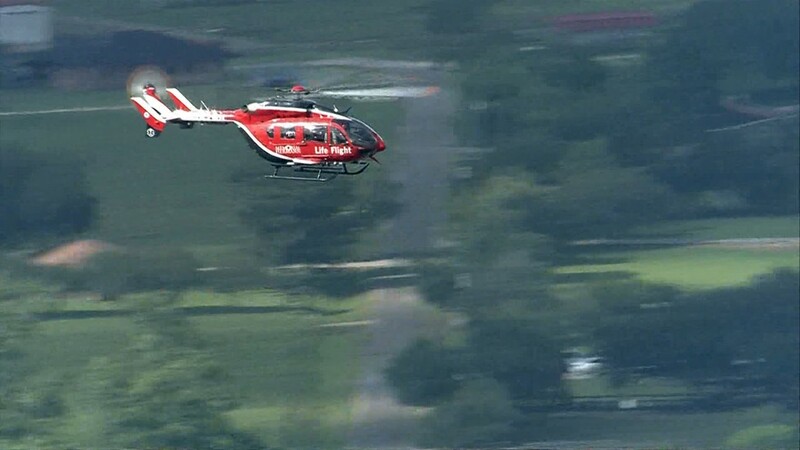 Some of the injured victims were taken to UTMB or John Sealy Hospital in Galveston. 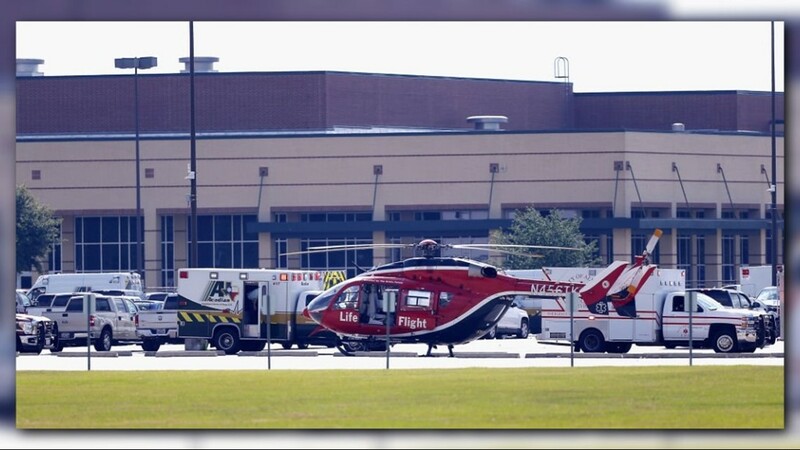 Others are being treated at Clear Lake Regional Medical Center. 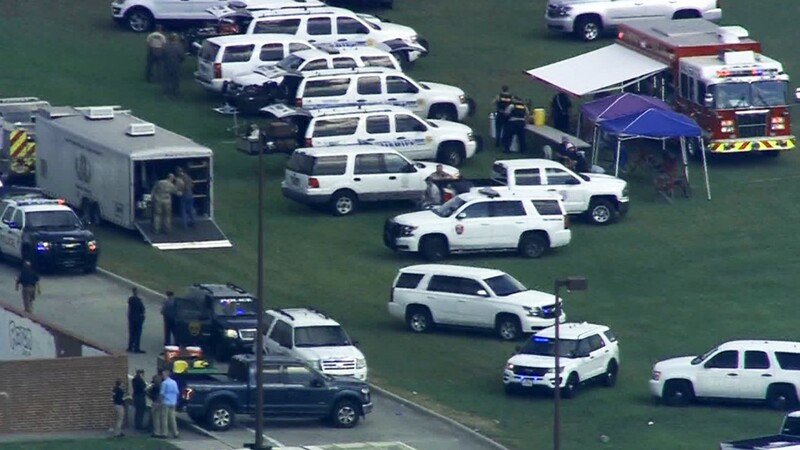 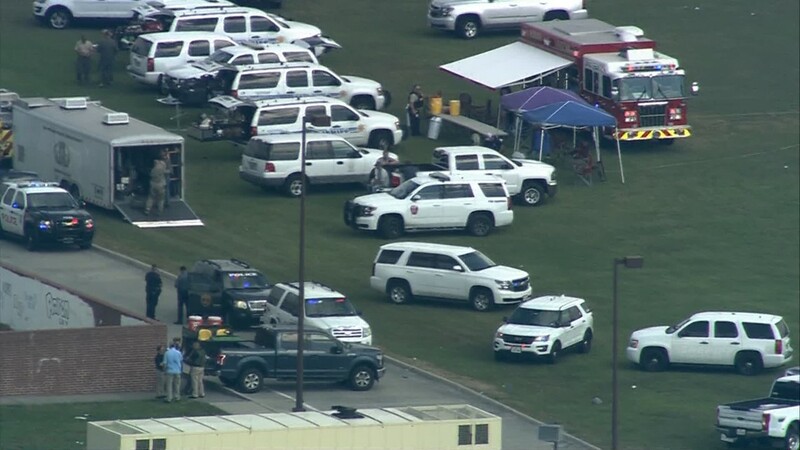 The FBI and Texas DPS Troopers have joined Santa Fe police, along with law enforcement officers from Galveston and Brazoria Counties. 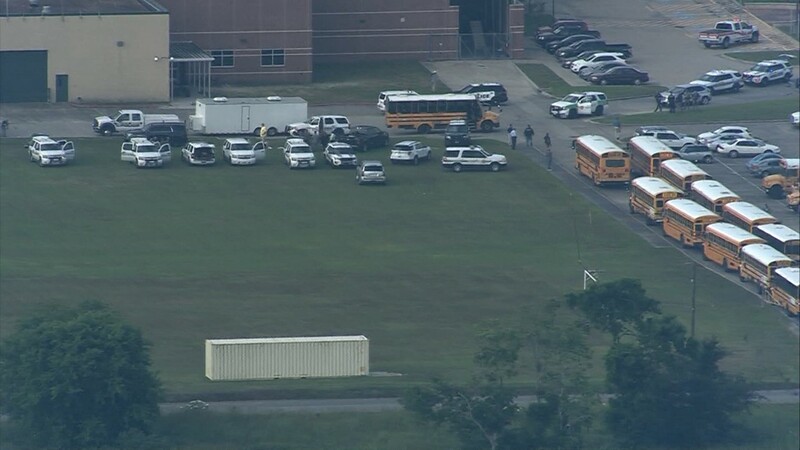 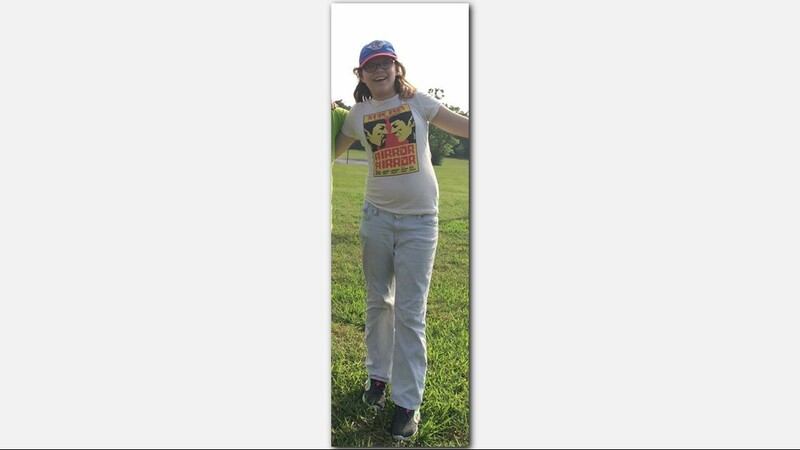 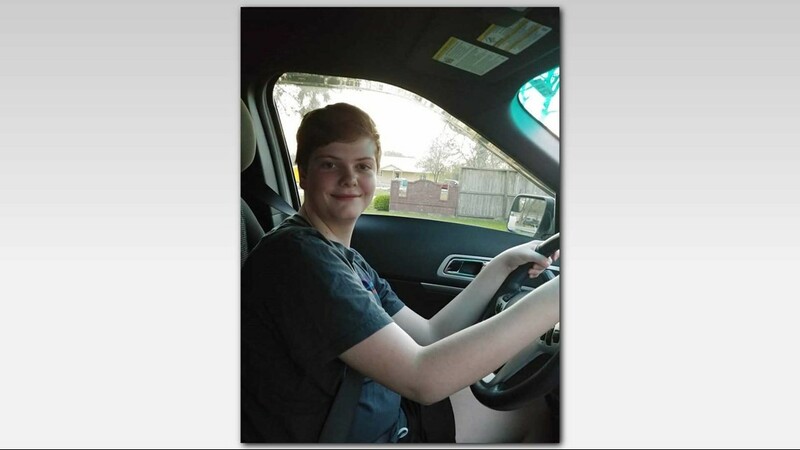 They are questioning two additional students identified as "persons of interest."" 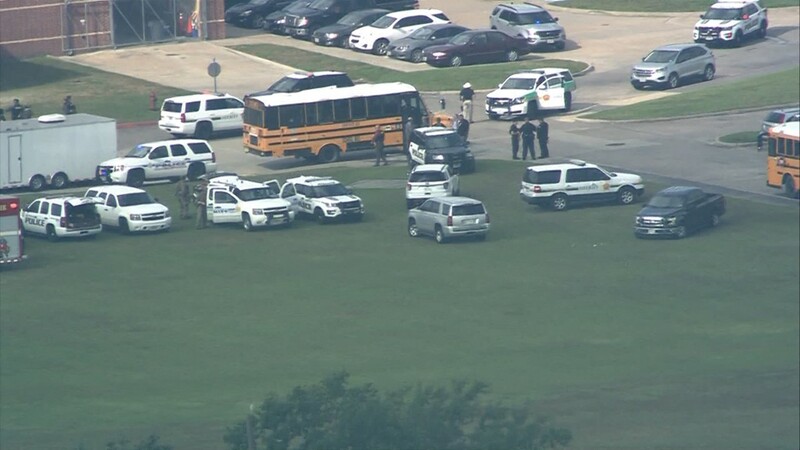 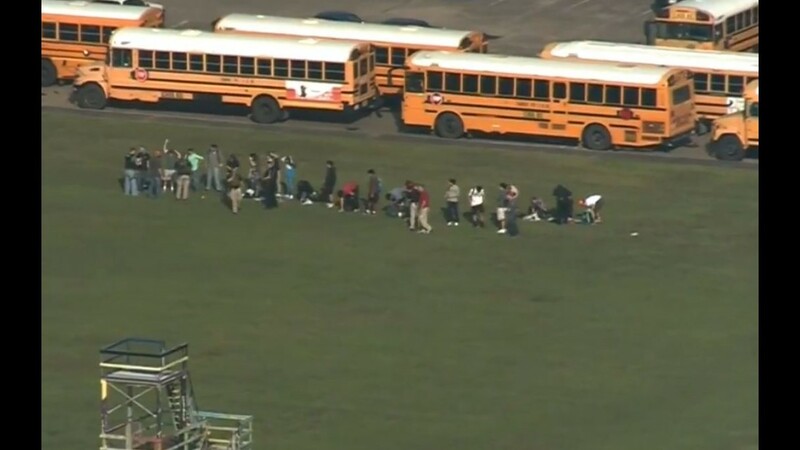 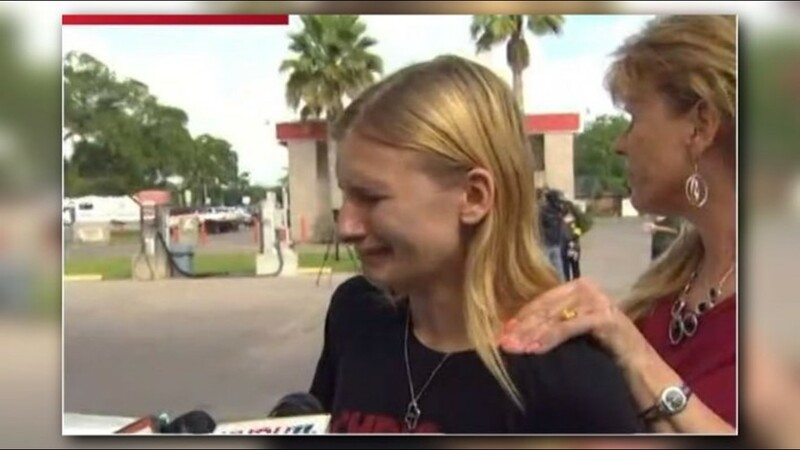 School shooting in Texas. 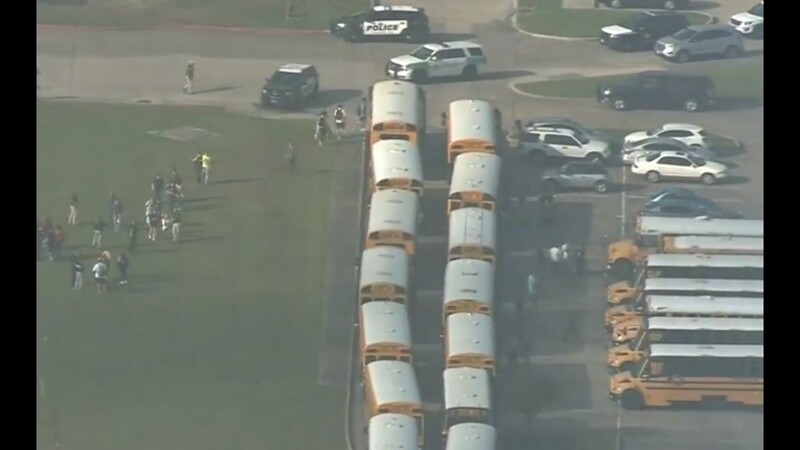 Early reports not looking good. 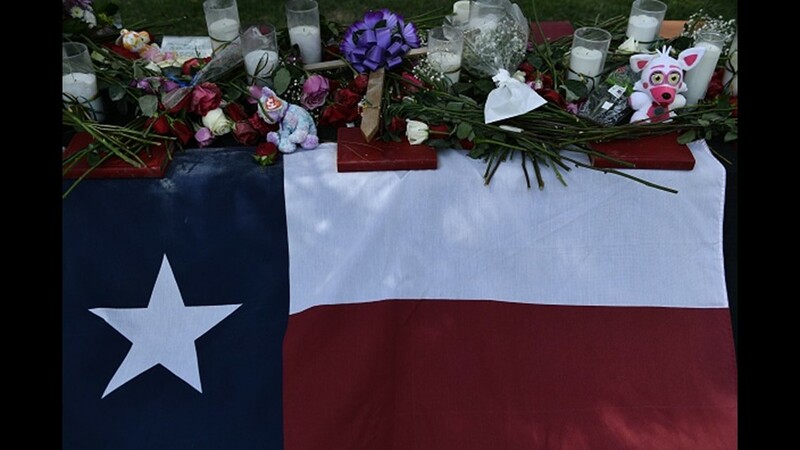 God bless all!," President Trump tweeted. 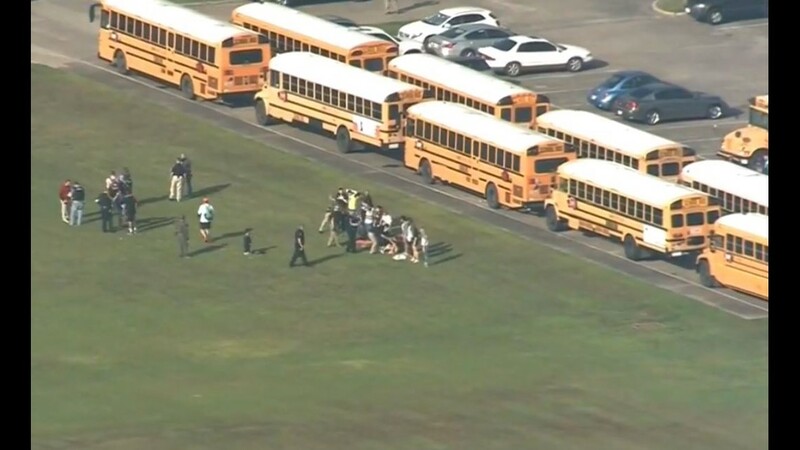 Trump said his administration would "do everything in our power" to protect students. 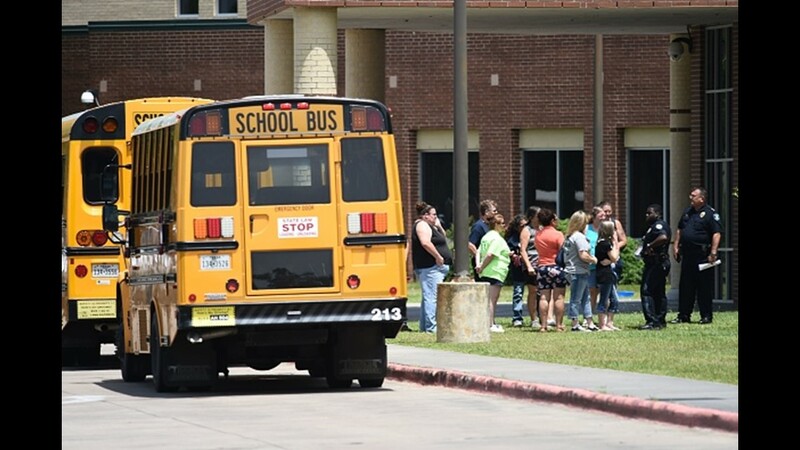 Santa Fe ISD announced Friday evening that all schools in the district will be closed Monday and Tuesday. 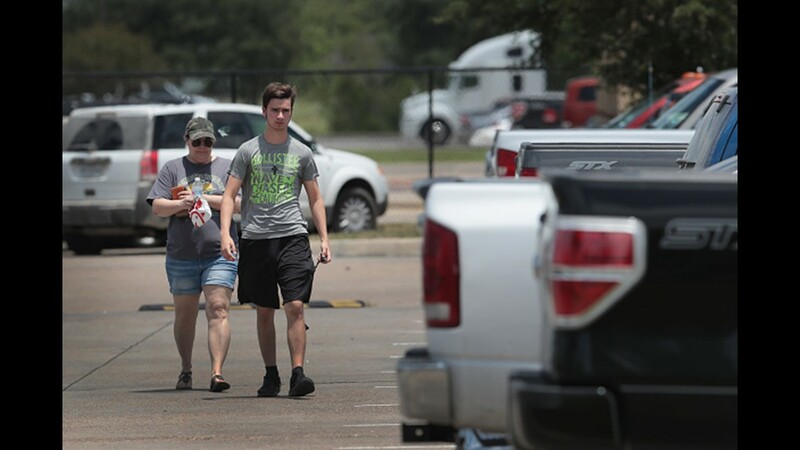 District officials said students could retrieve their cars between noon and 2 p.m. Saturday, but they must report to the junior high cafeteria where they will then be taken to the high school. 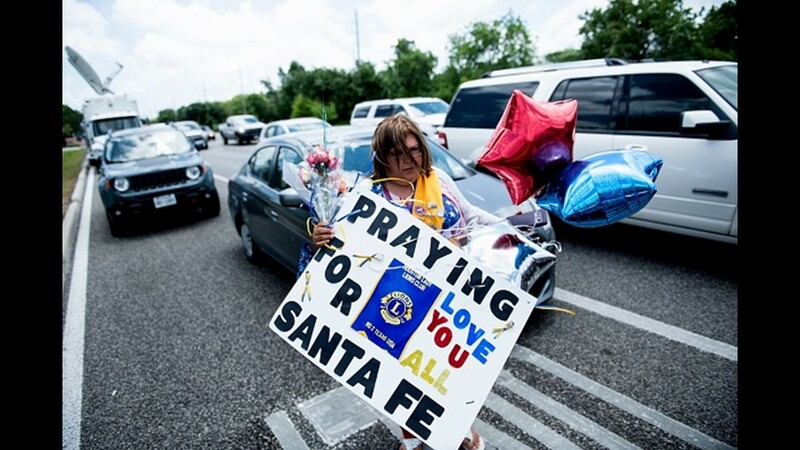 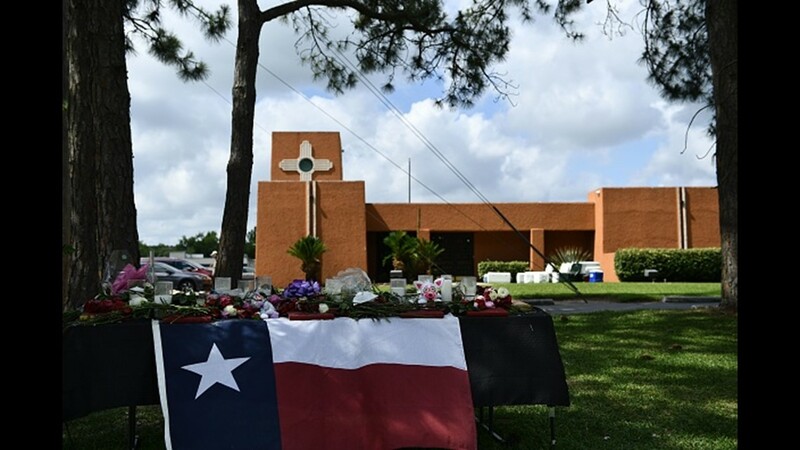 Santa Fe is located at 16000 Highway 6, about 30 miles southeast of Houston.